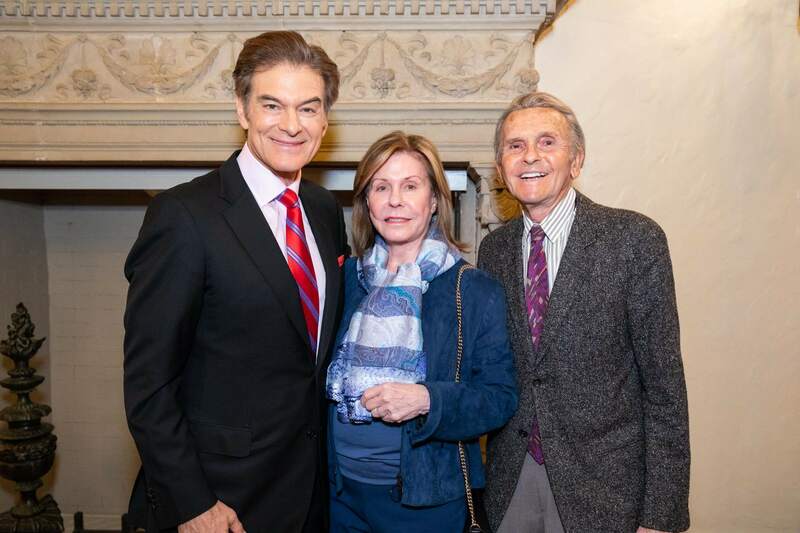 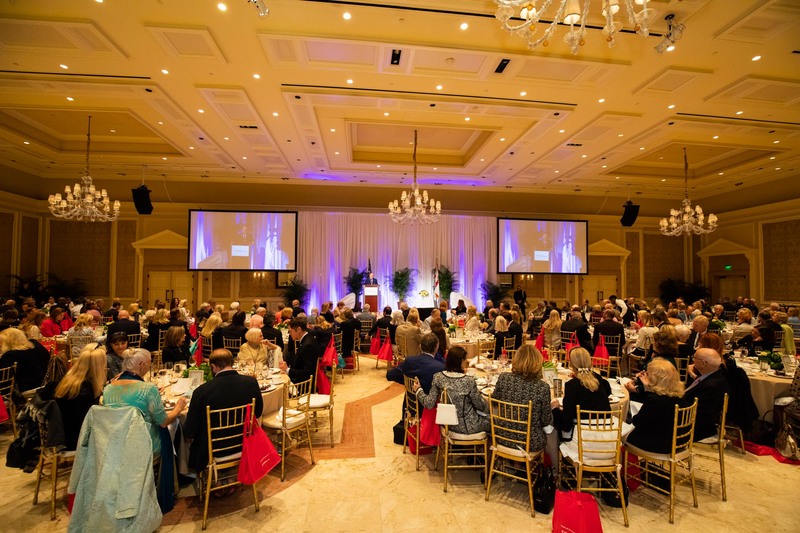 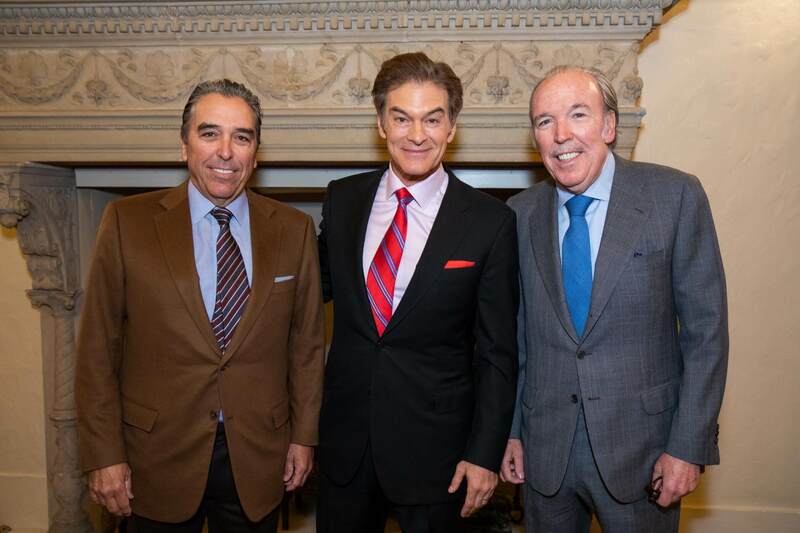 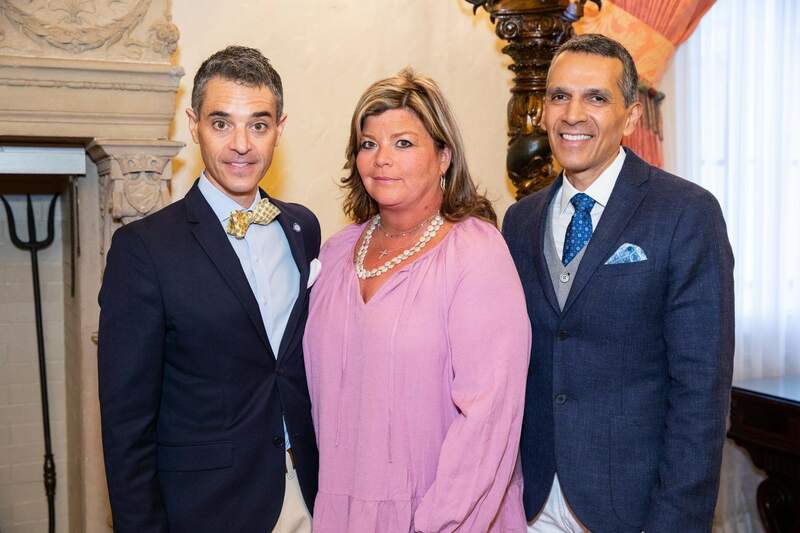 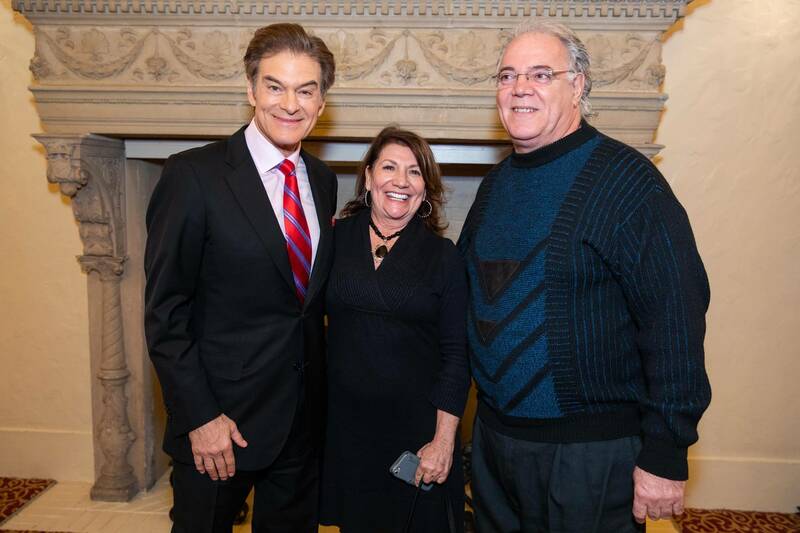 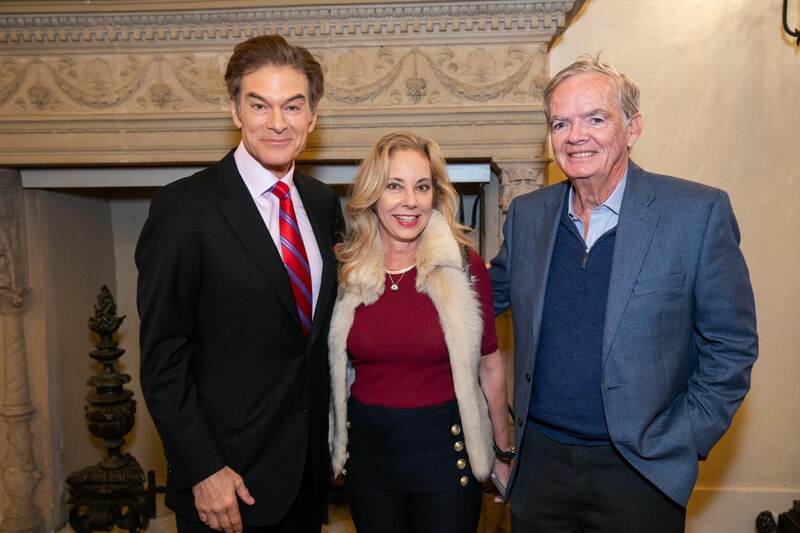 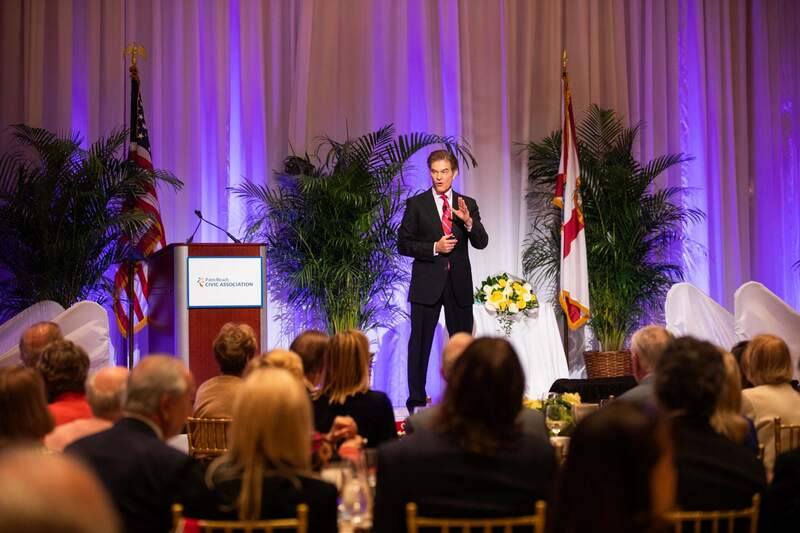 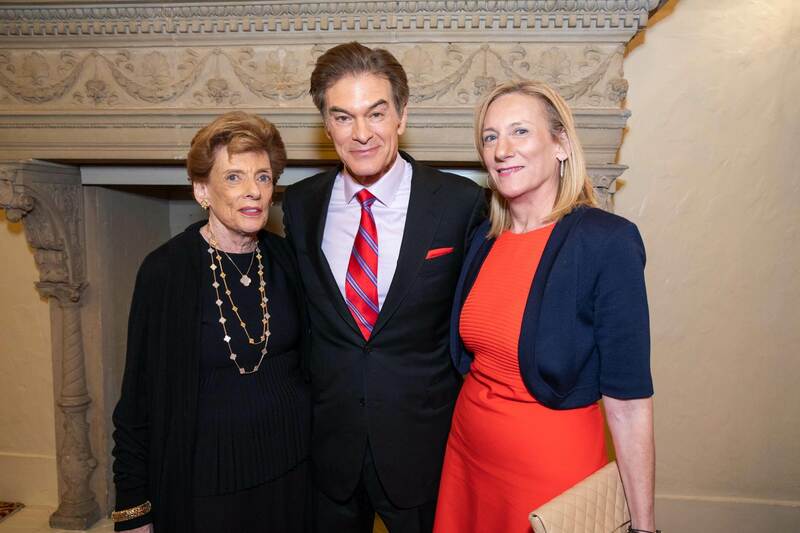 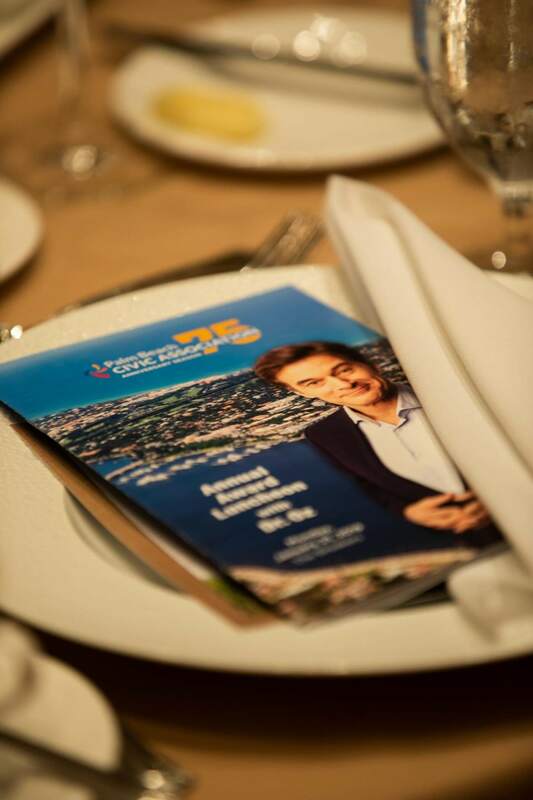 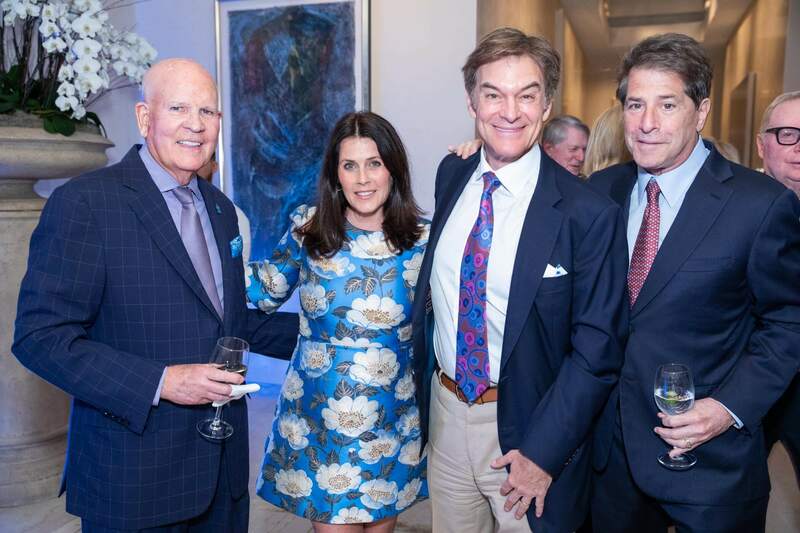 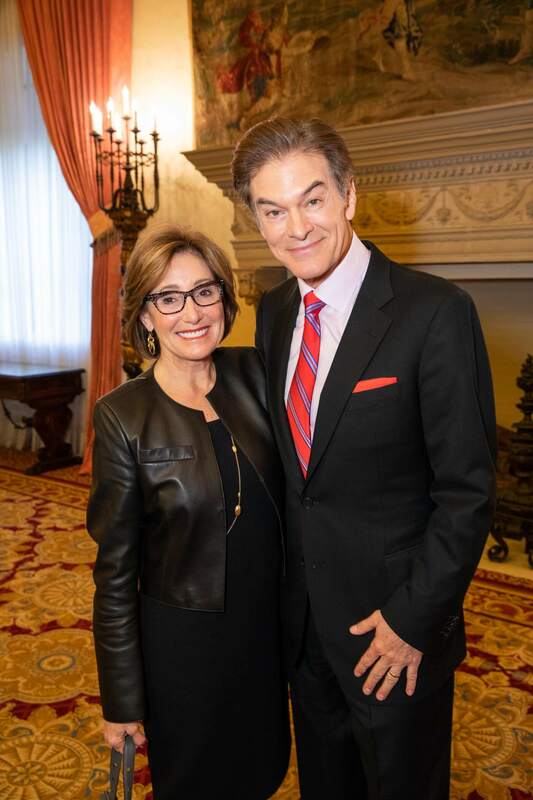 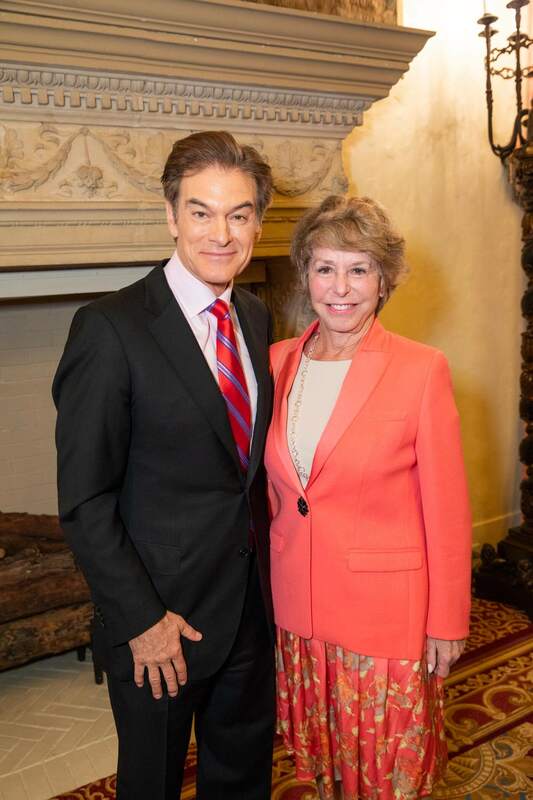 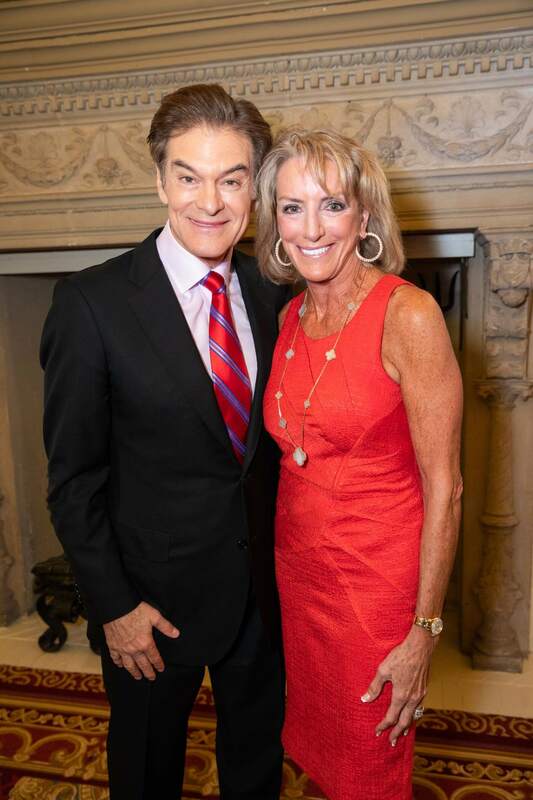 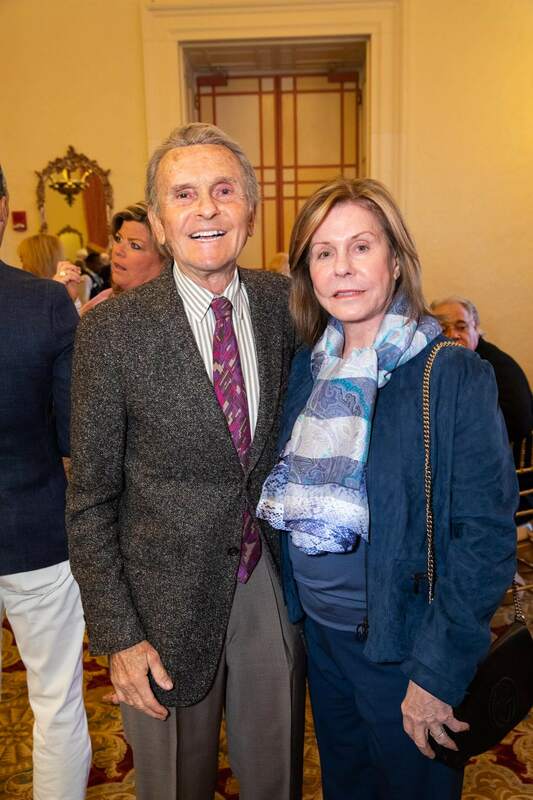 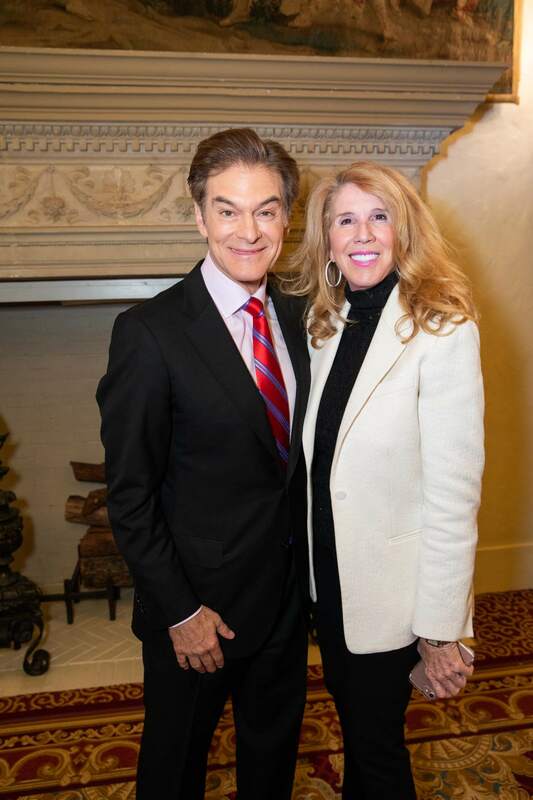 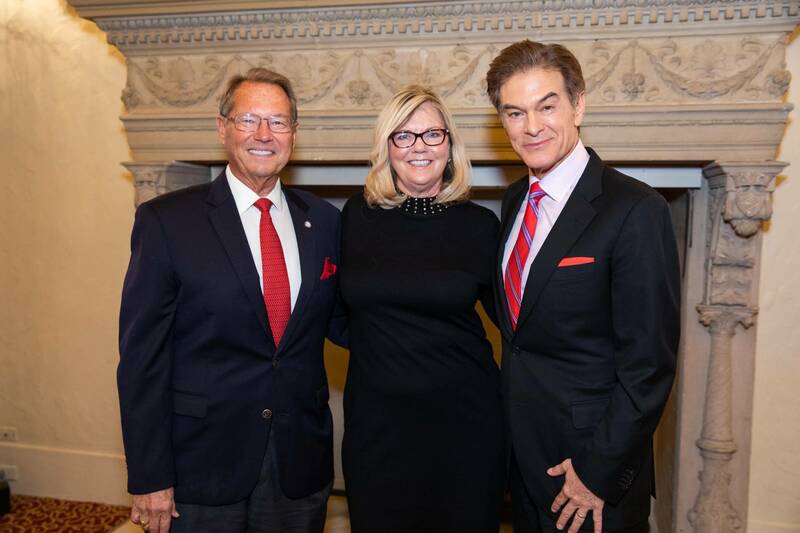 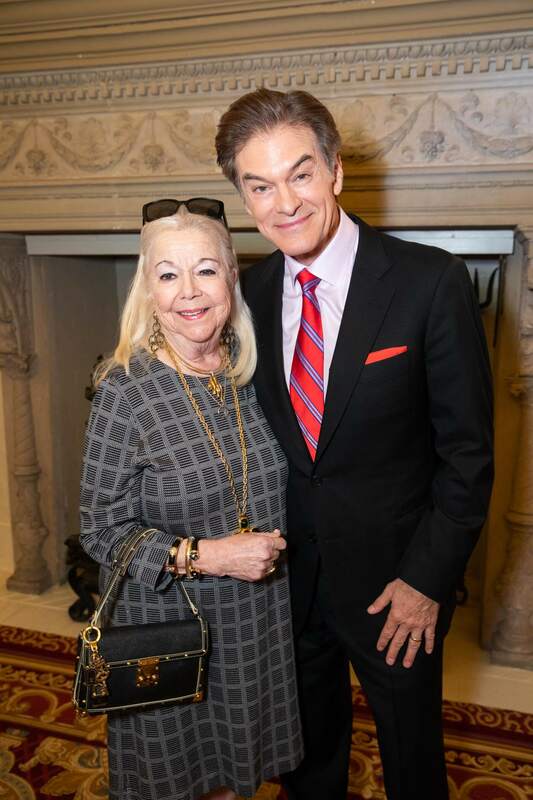 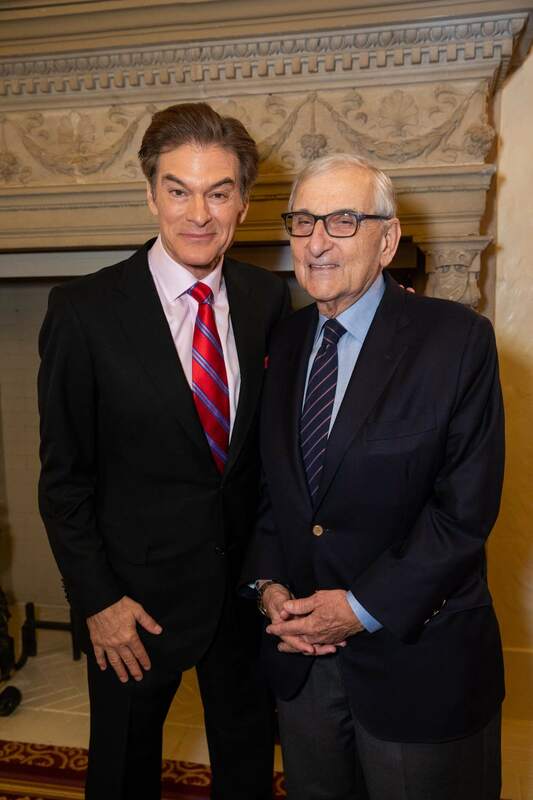 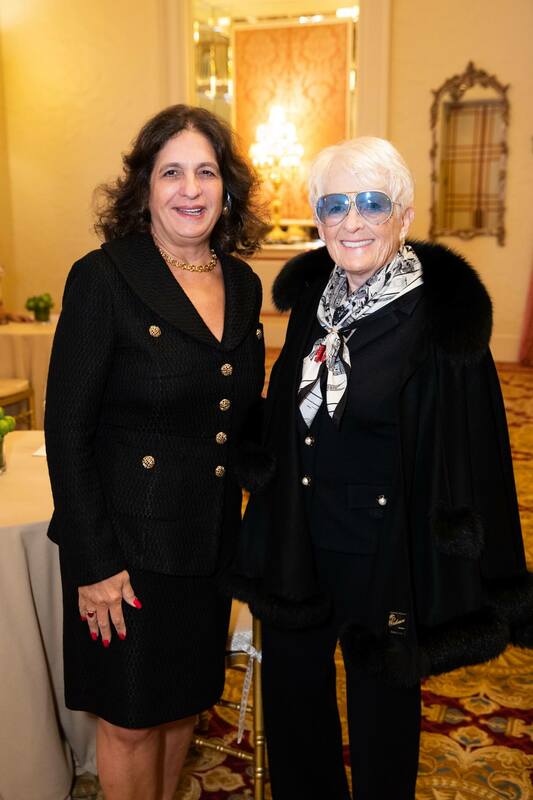 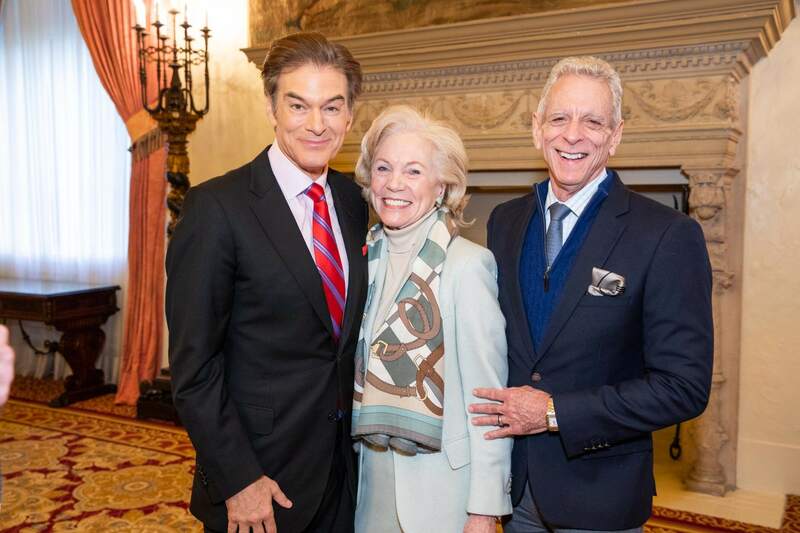 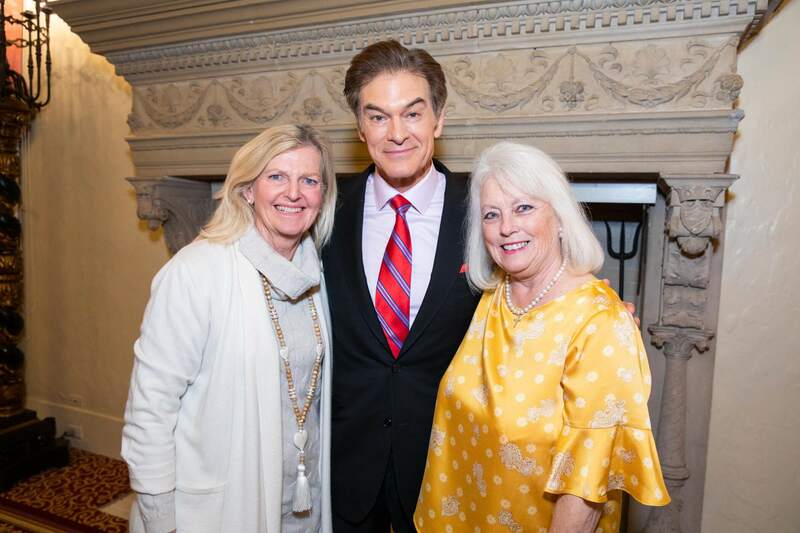 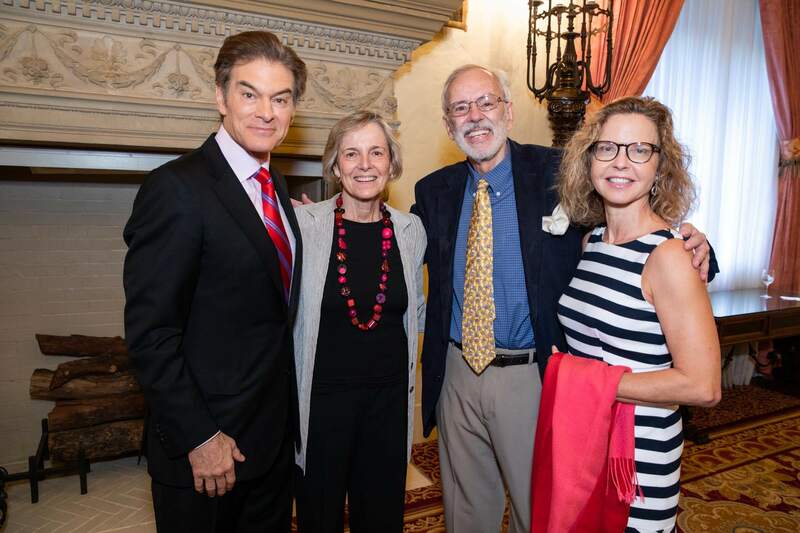 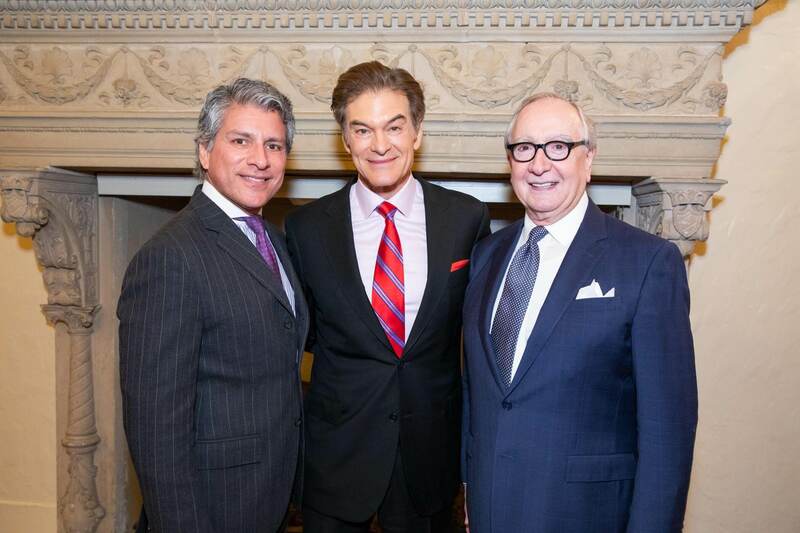 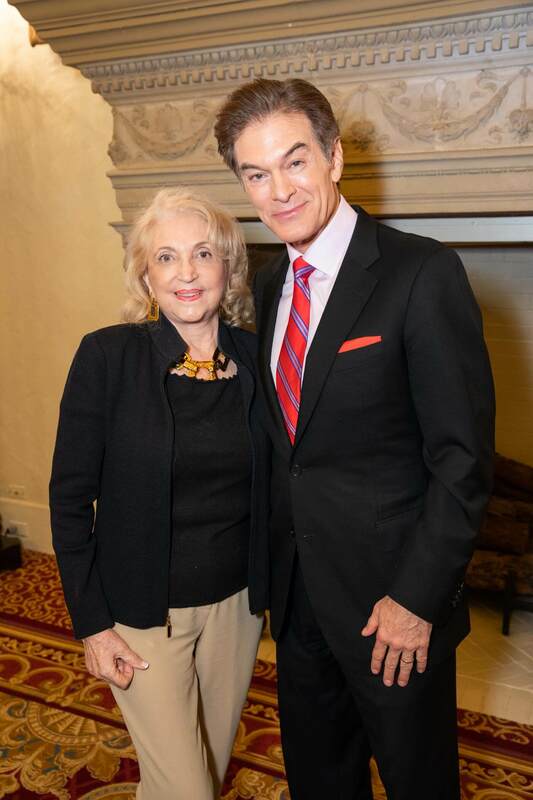 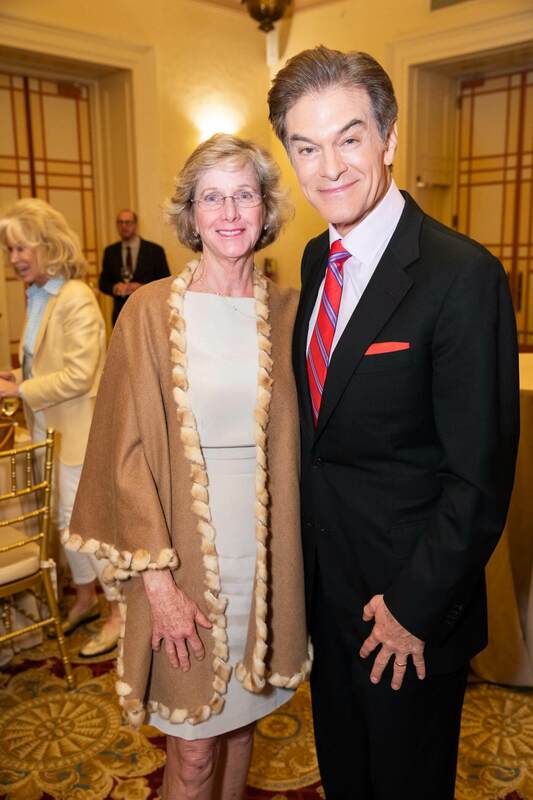 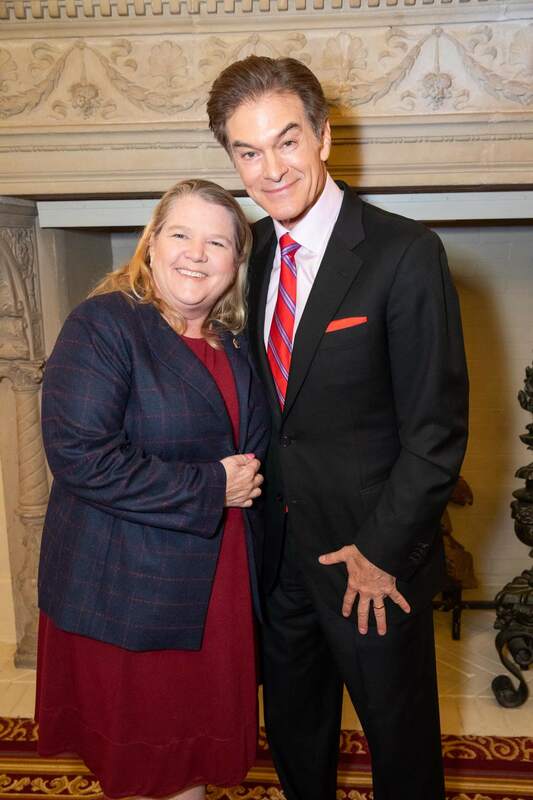 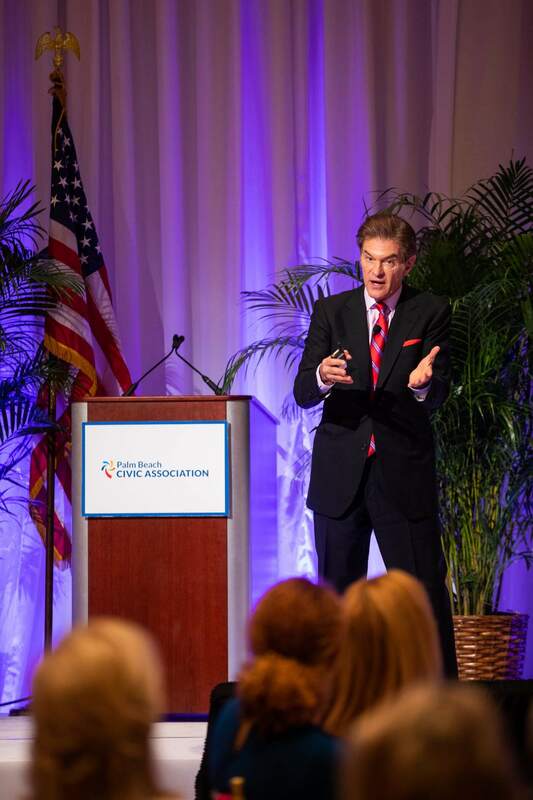 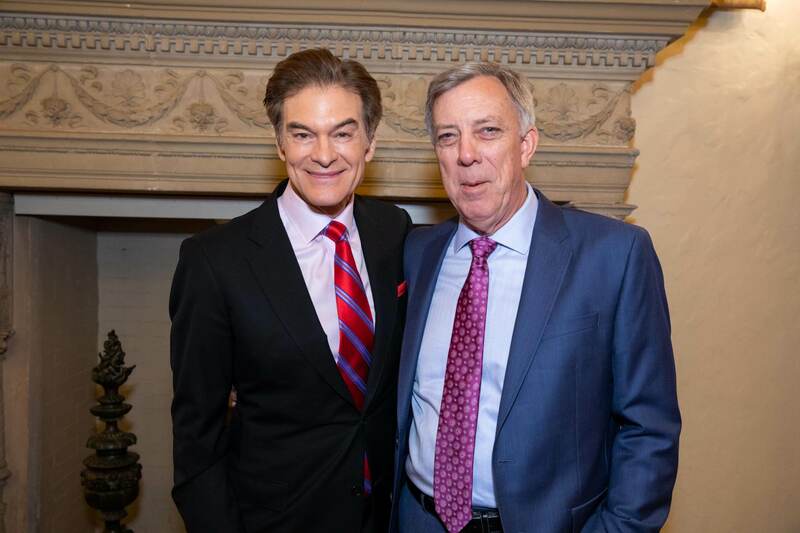 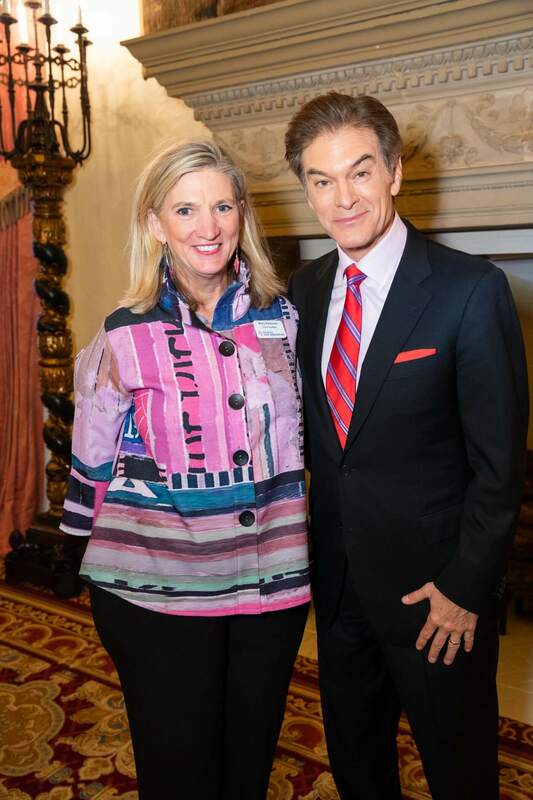 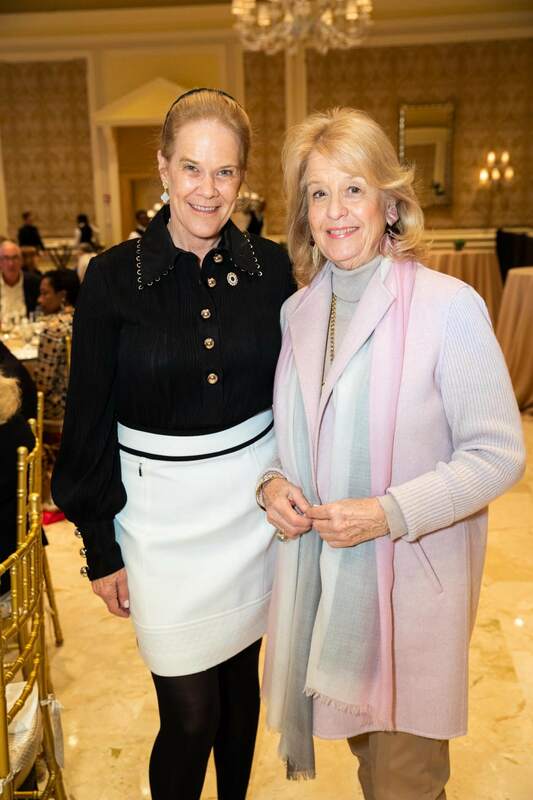 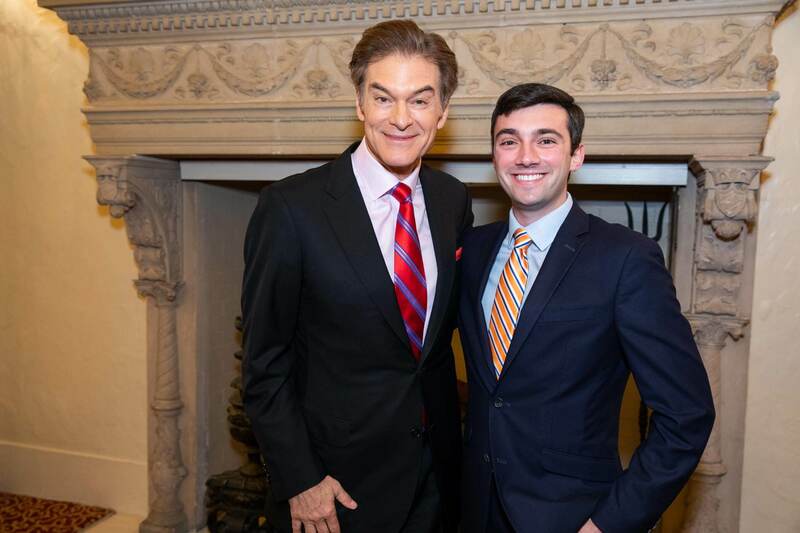 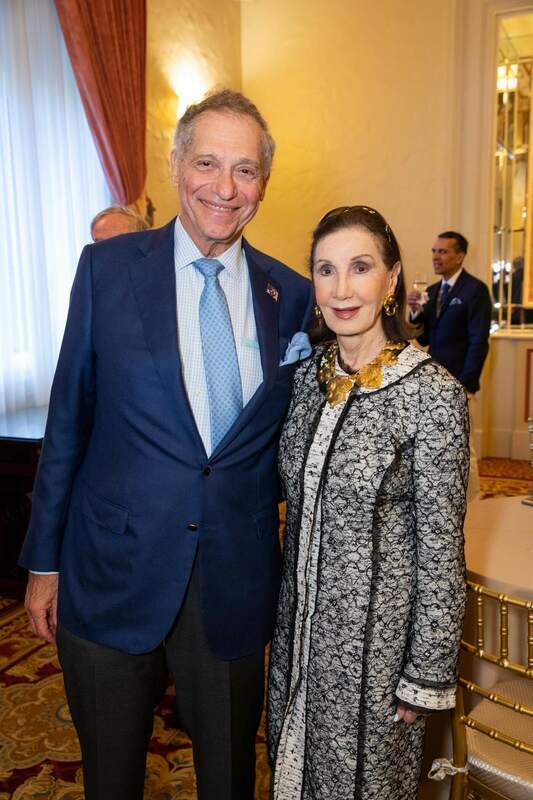 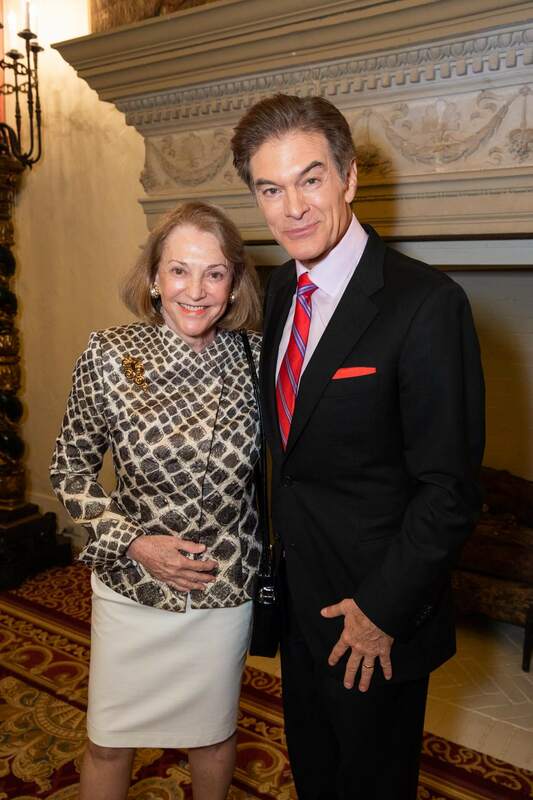 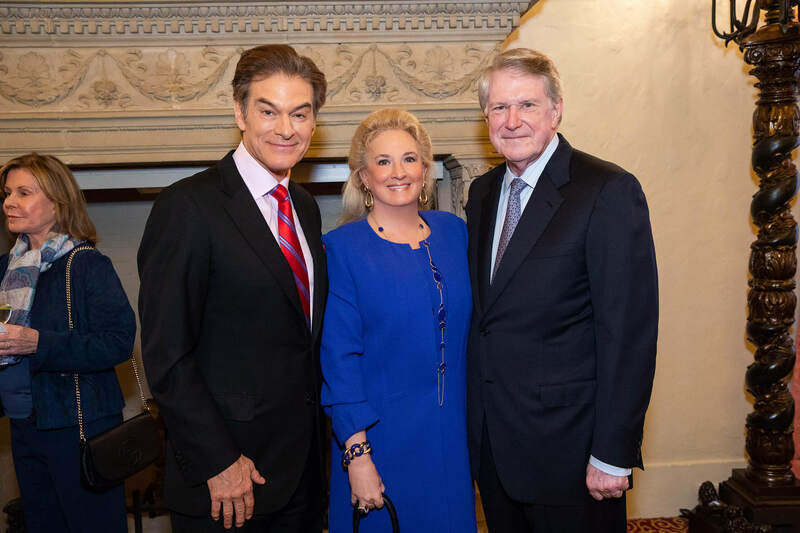 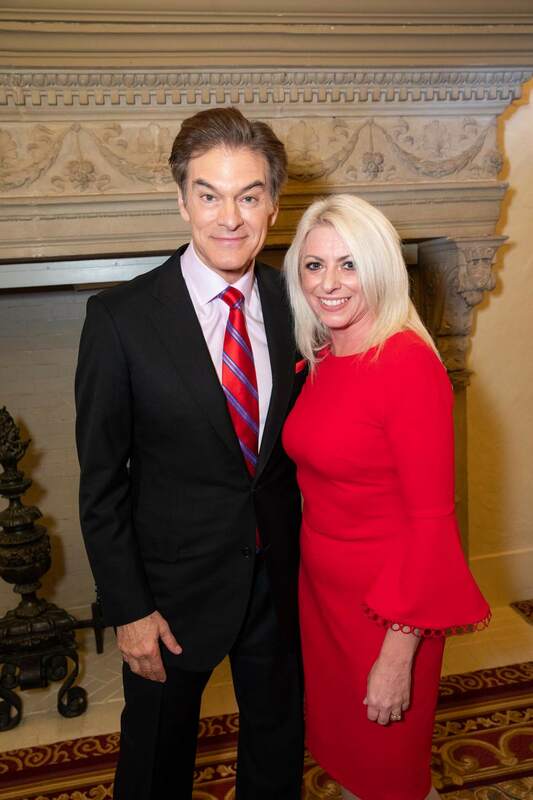 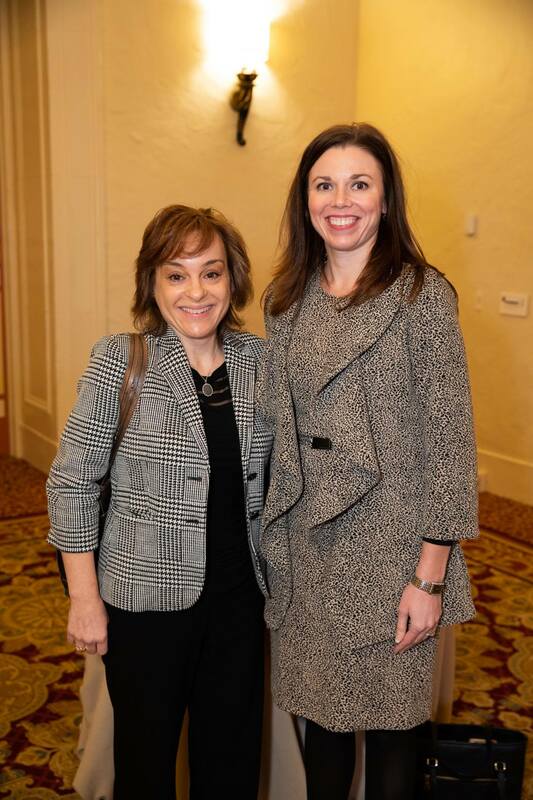 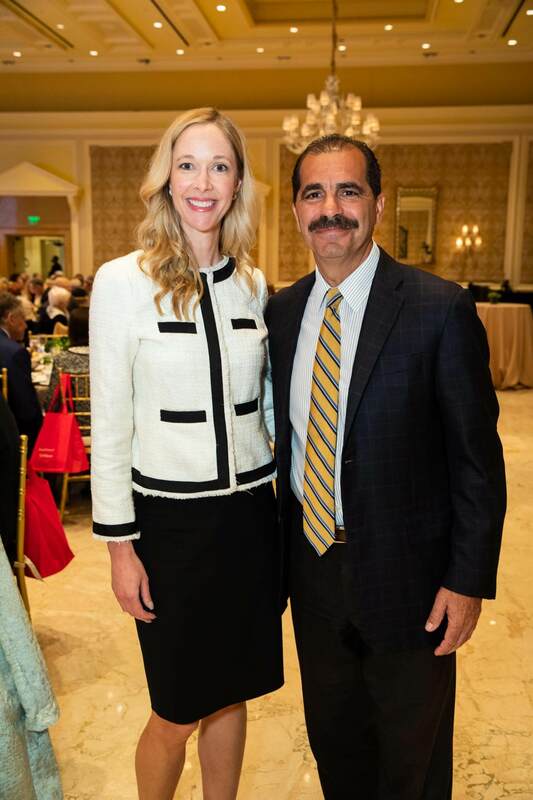 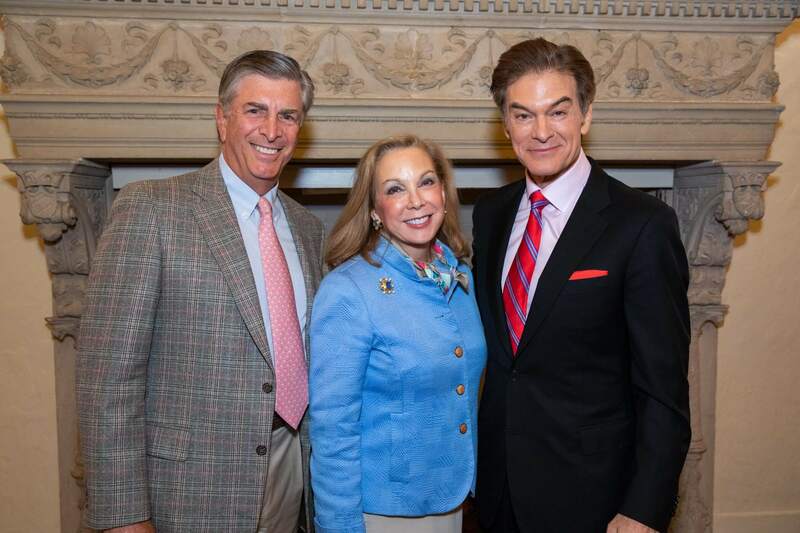 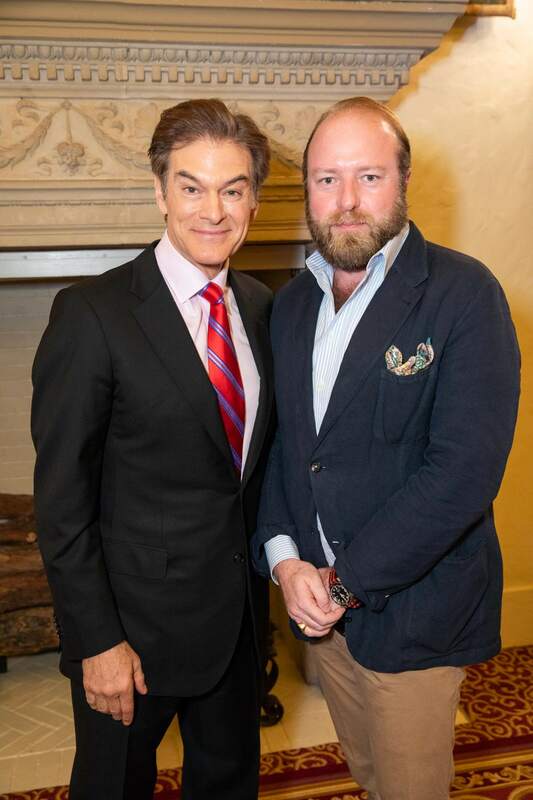 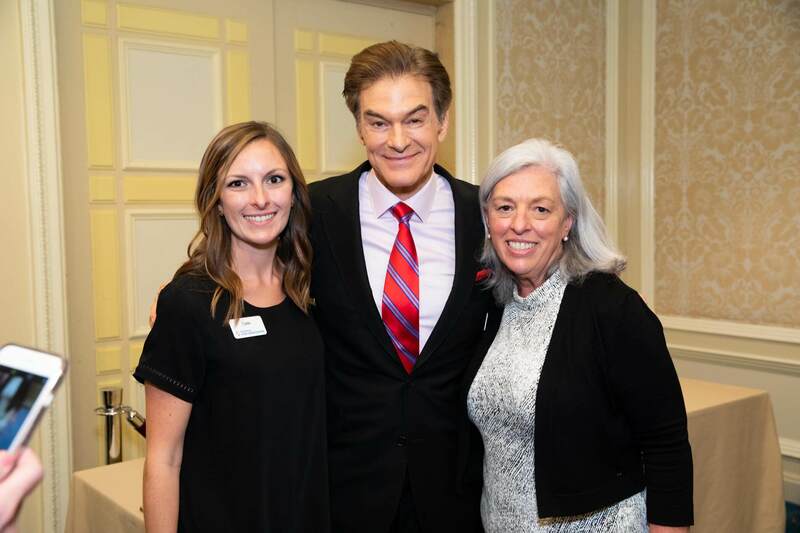 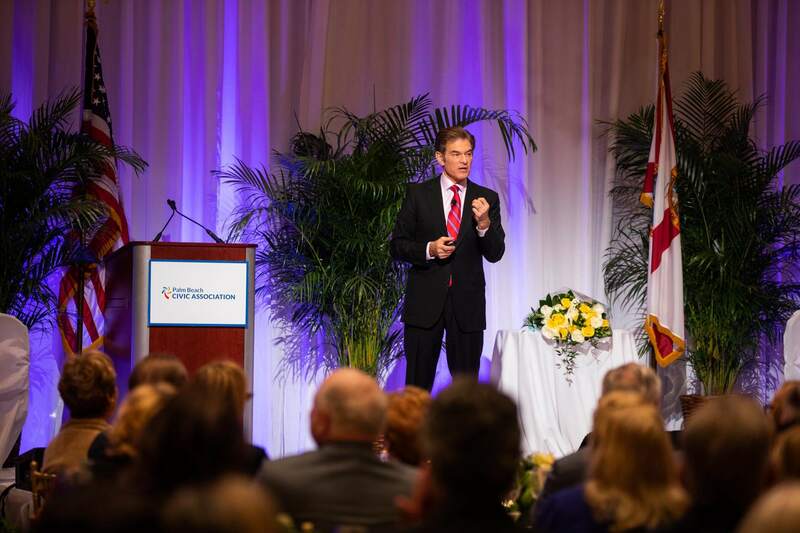 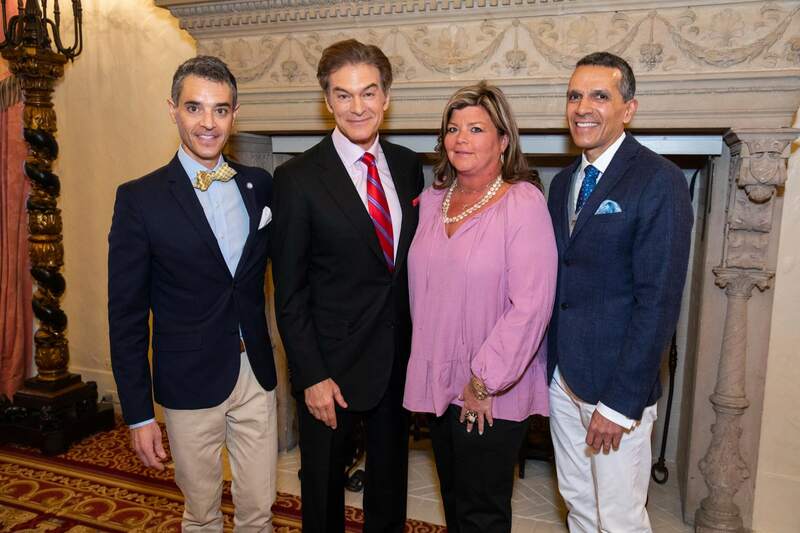 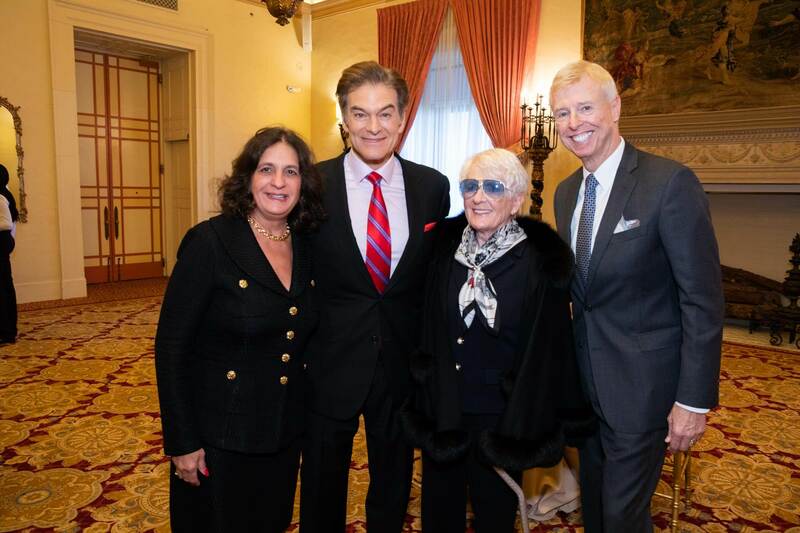 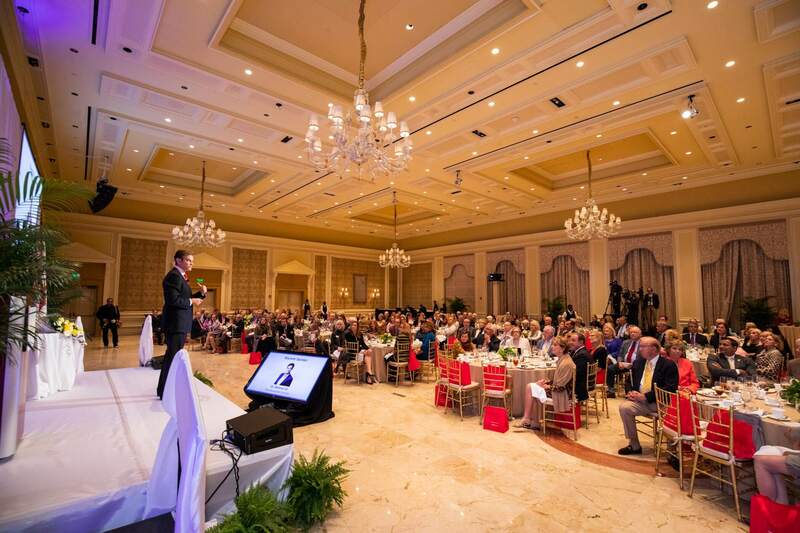 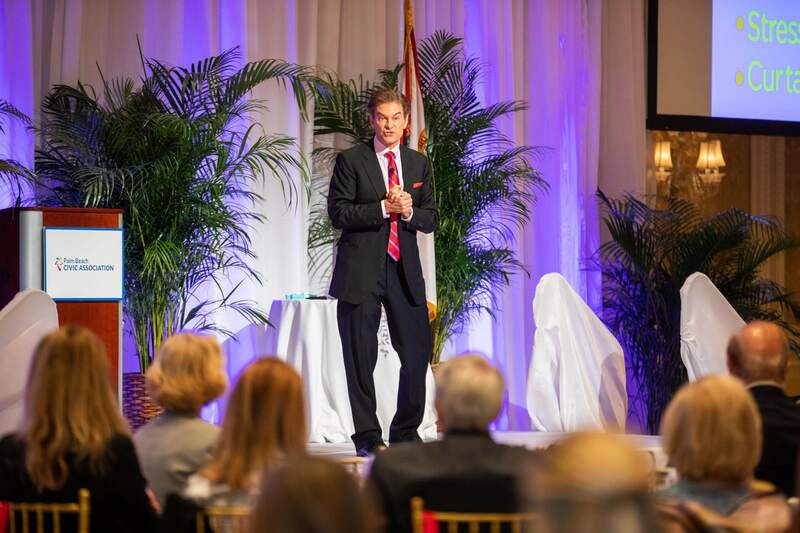 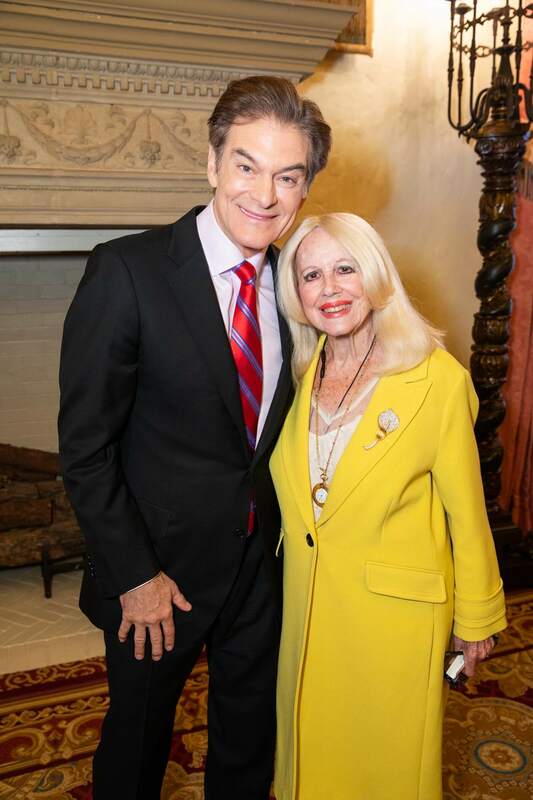 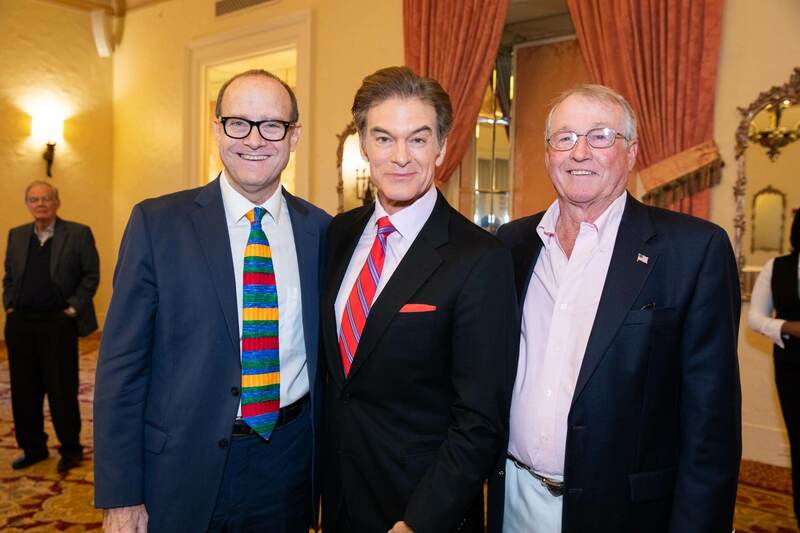 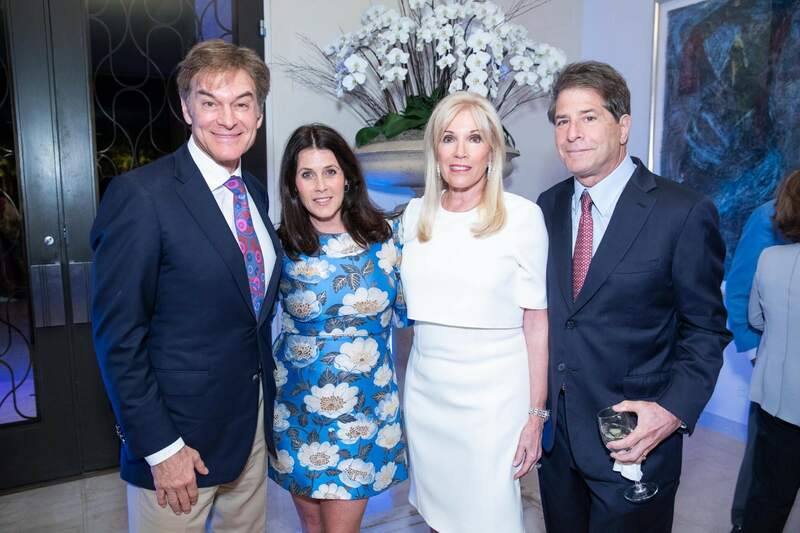 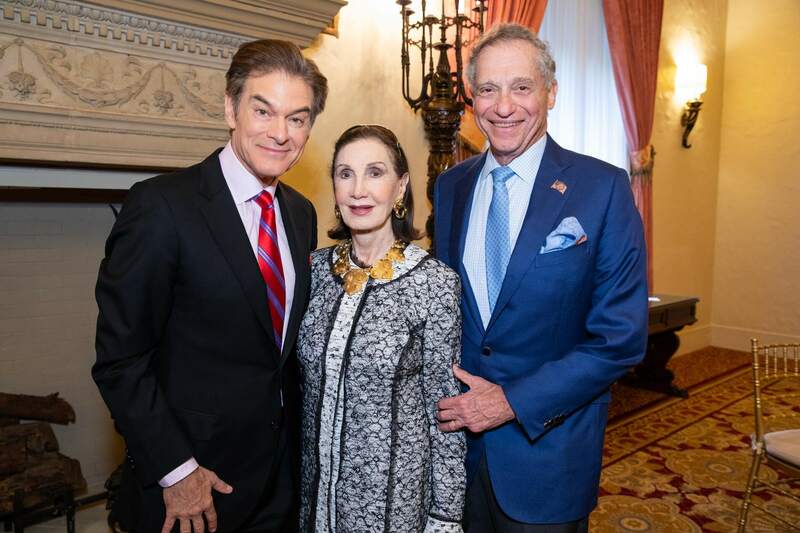 TV personality and heart surgeon Dr. Mehmet Oz dispensed tips on how to live a healthier lifestyle during the Town of Palm Beach Civic Association’s Annual Award Luncheon Jan. 21 at The Breakers. 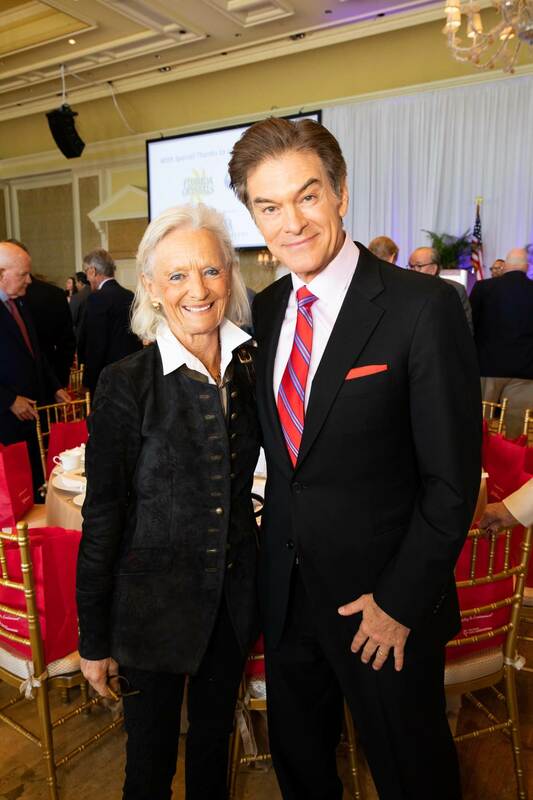 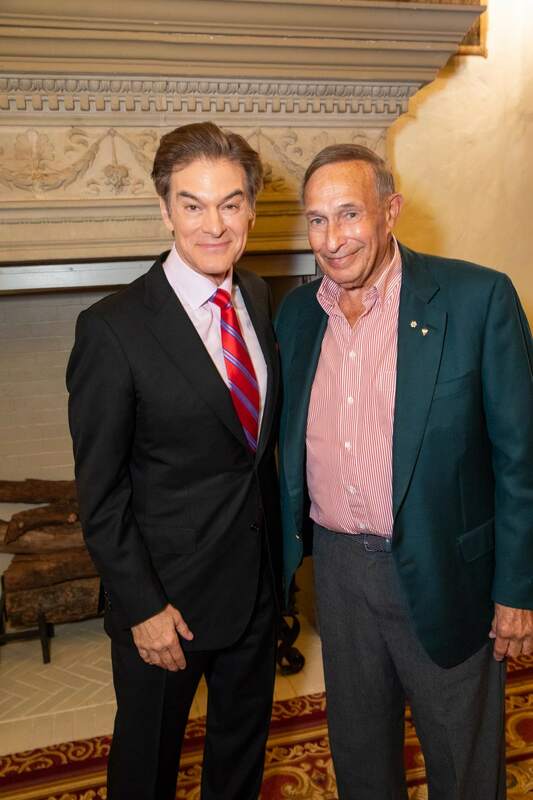 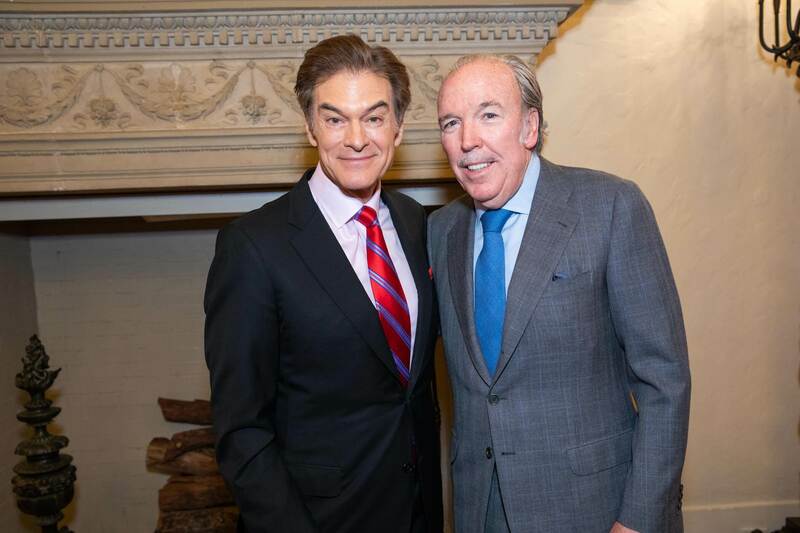 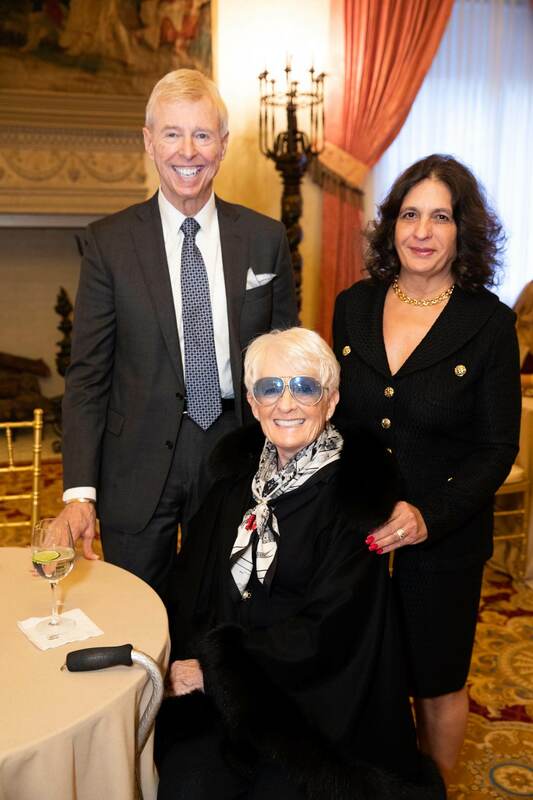 A Civic Association Director, Dr. Oz spoke to a packed house at the luncheon [See highlights in the video above]. 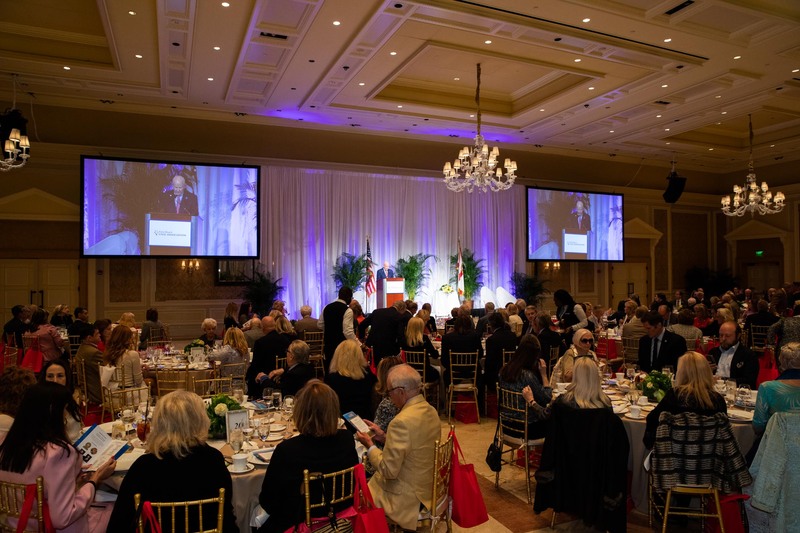 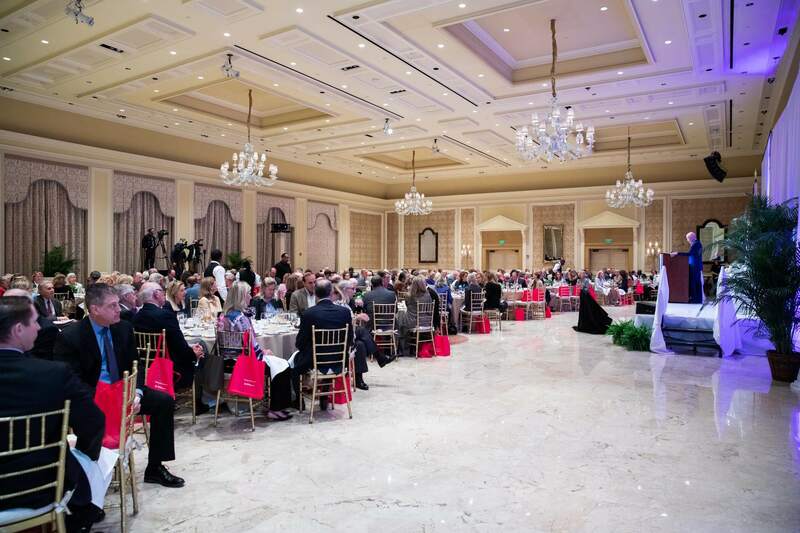 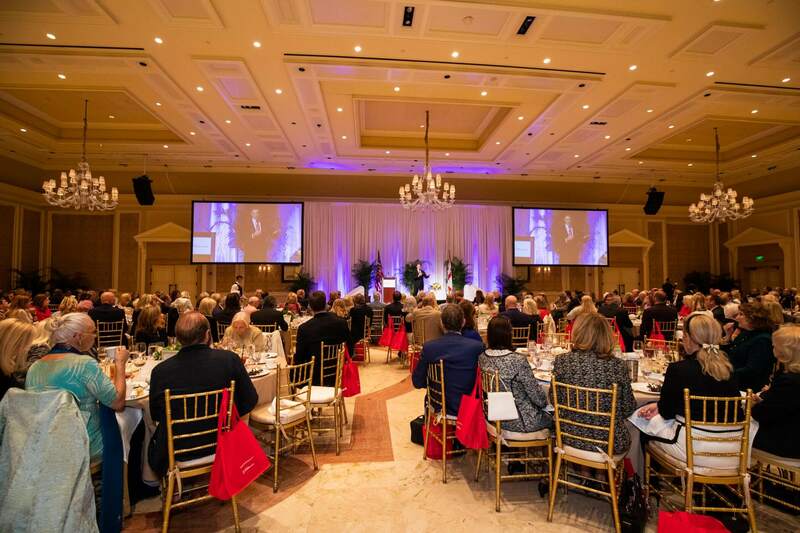 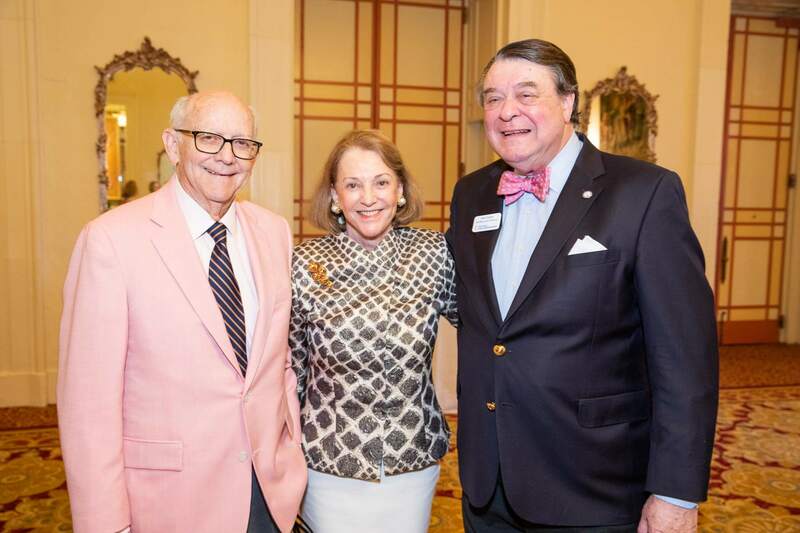 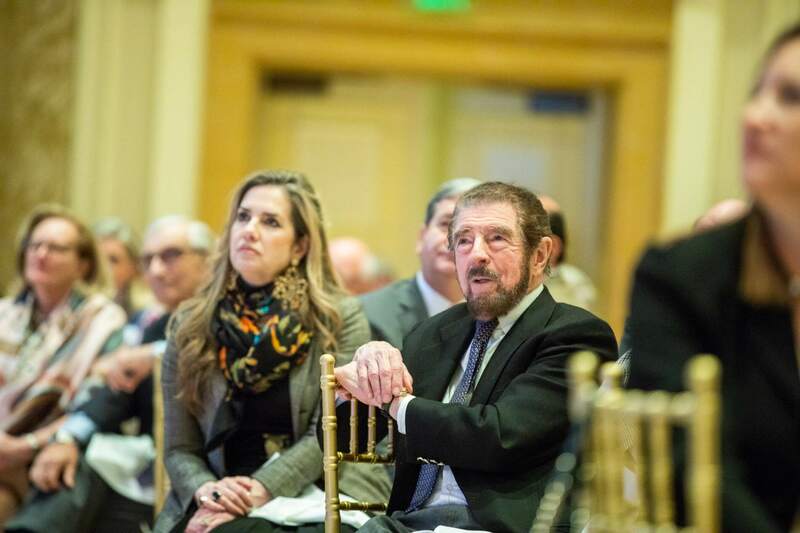 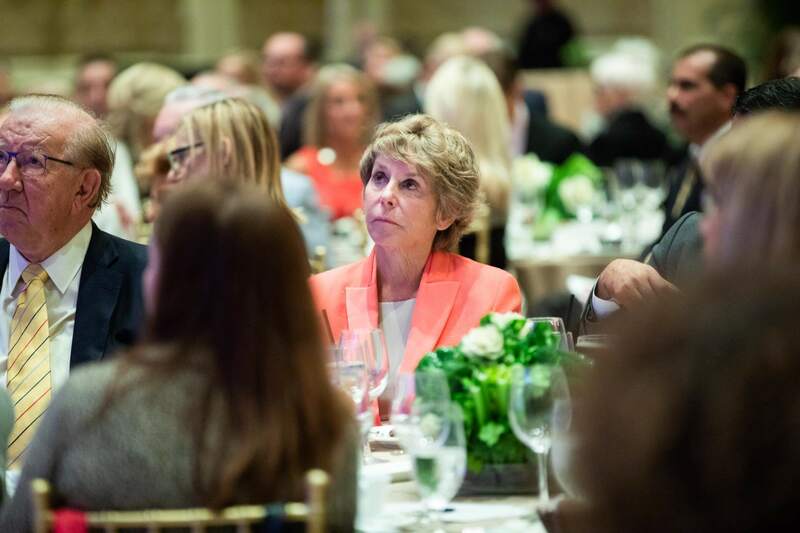 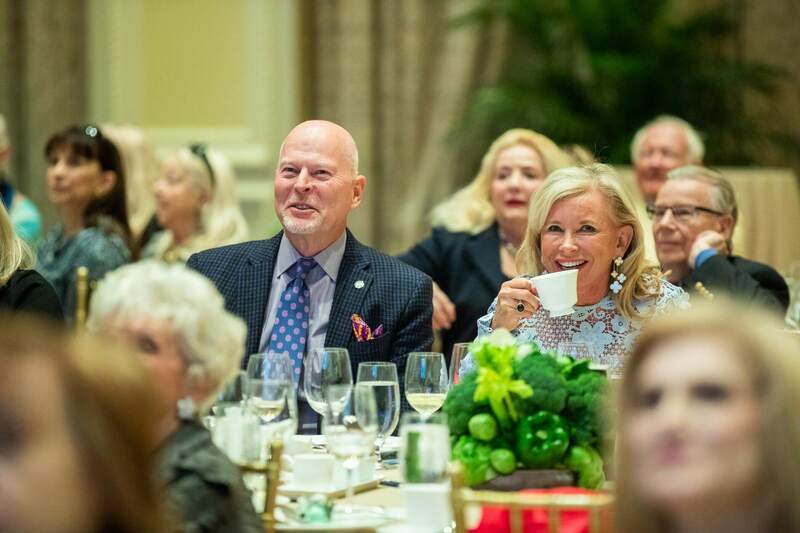 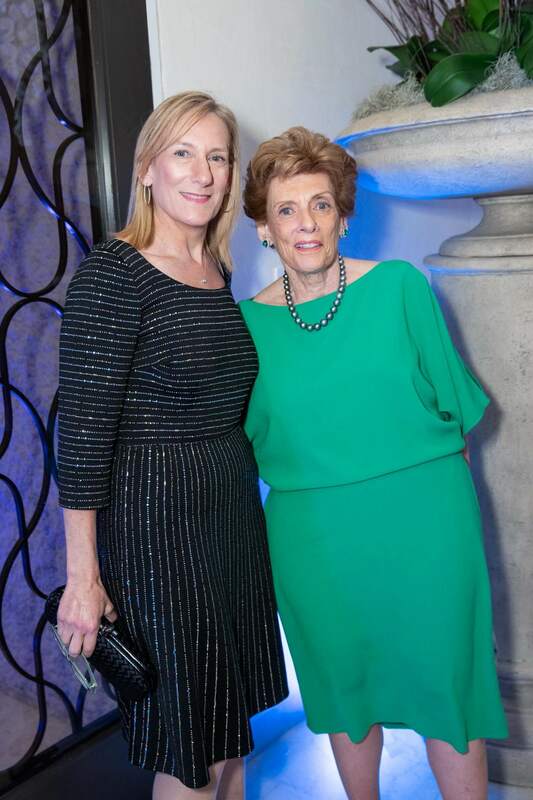 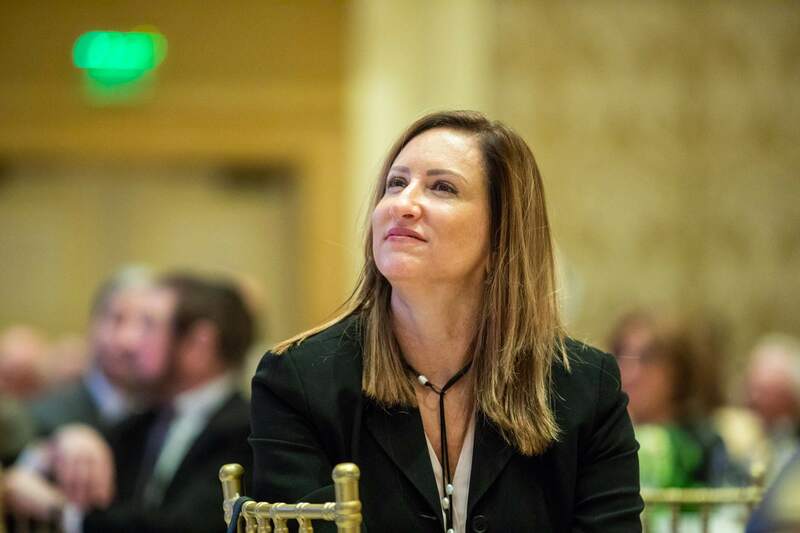 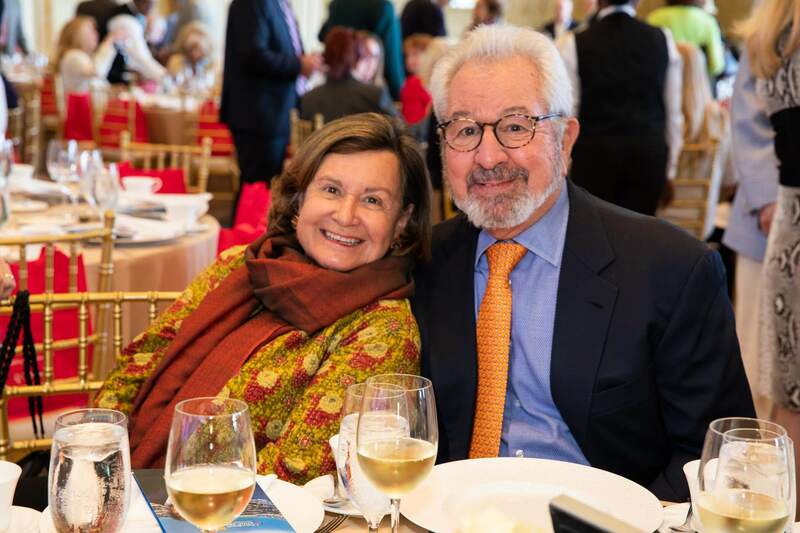 The Annual Award Luncheon supports the association’s community programs and initiatives. 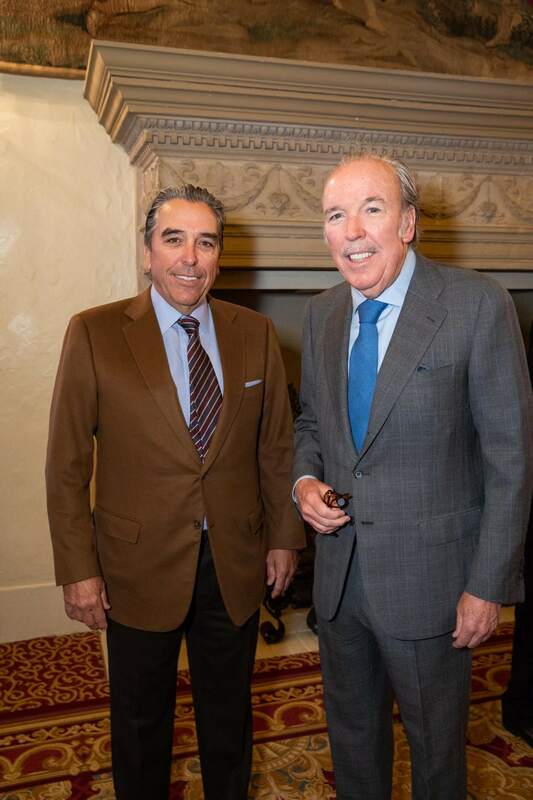 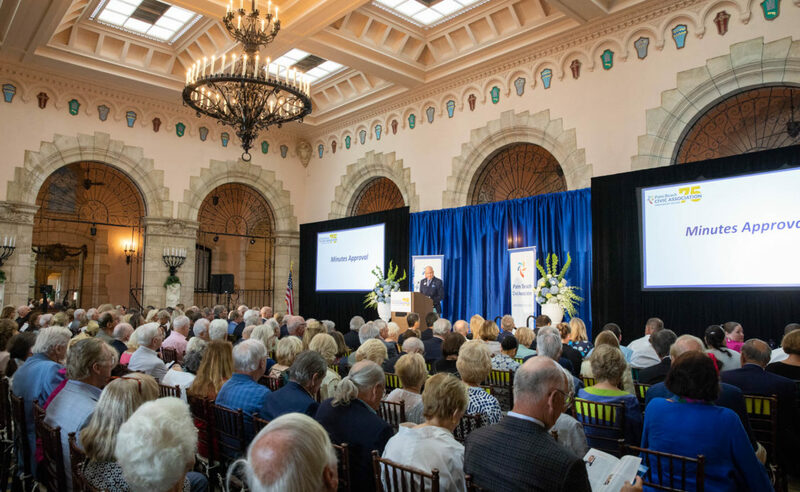 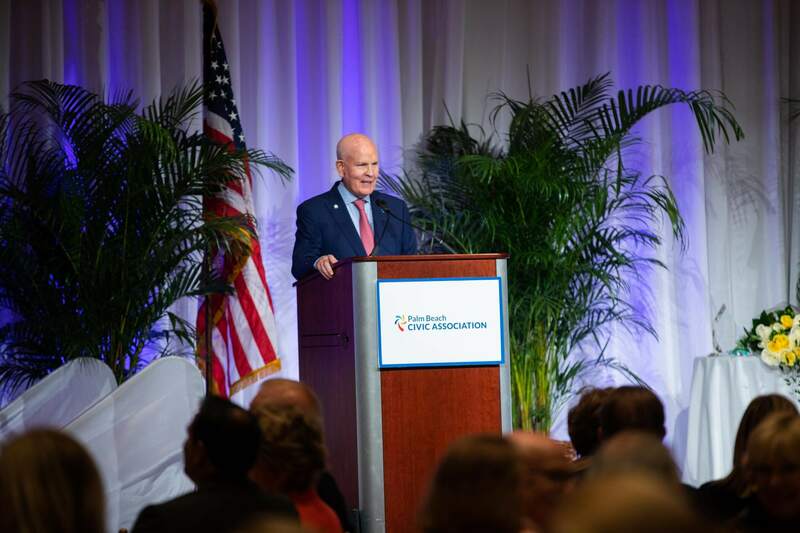 Chairman and CEO Bob Wright welcomed everyone to the association’s 75th anniversary season. 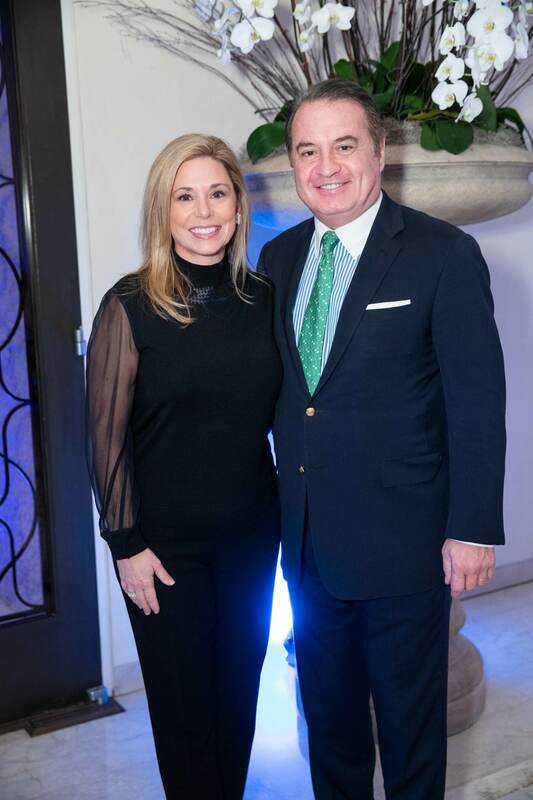 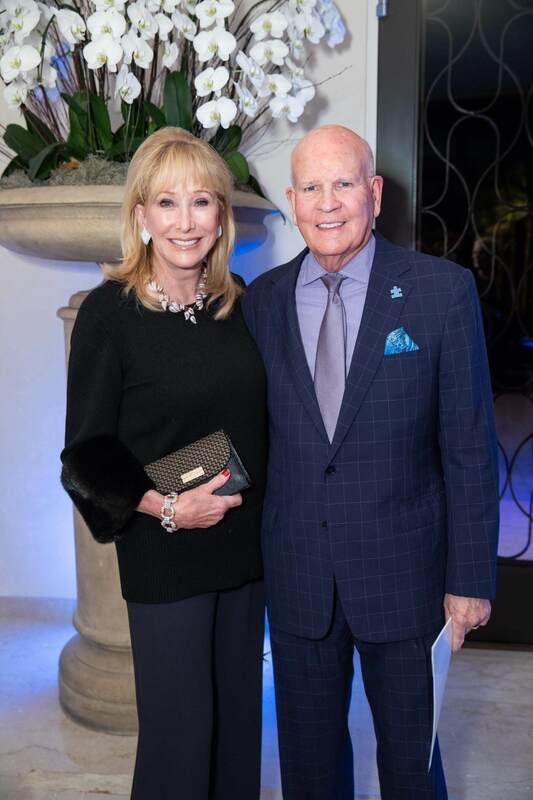 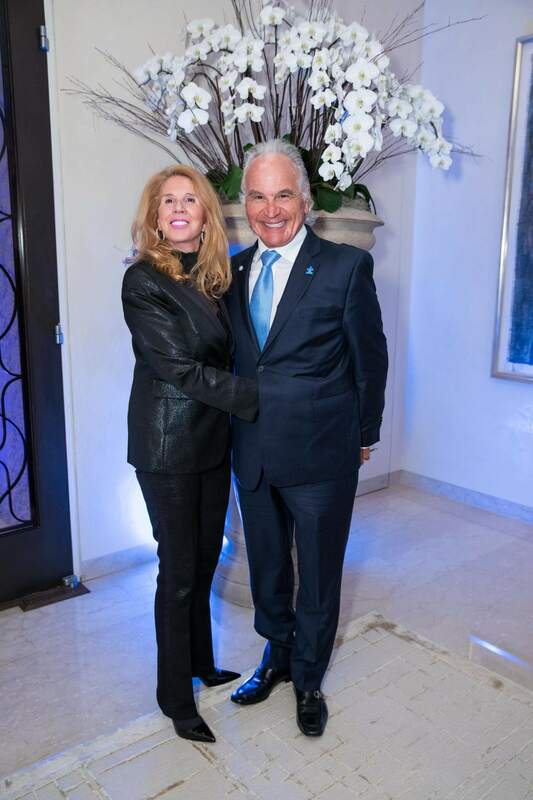 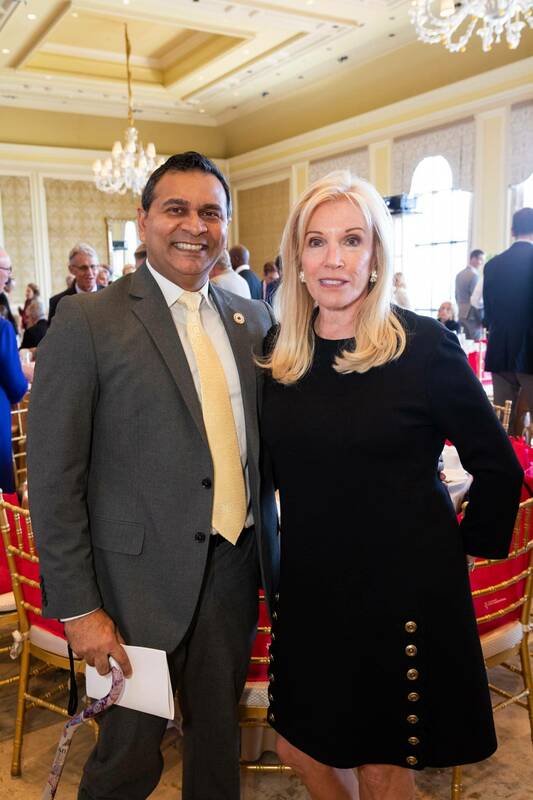 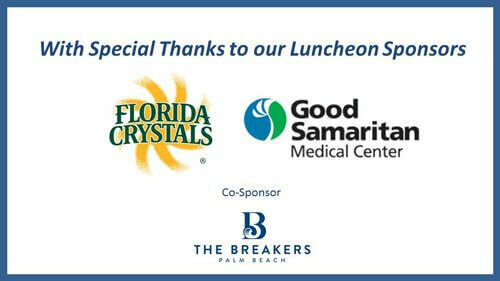 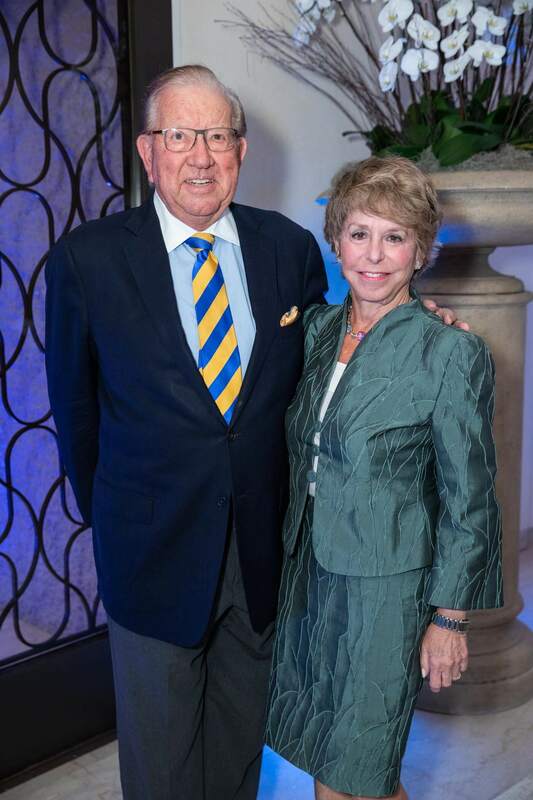 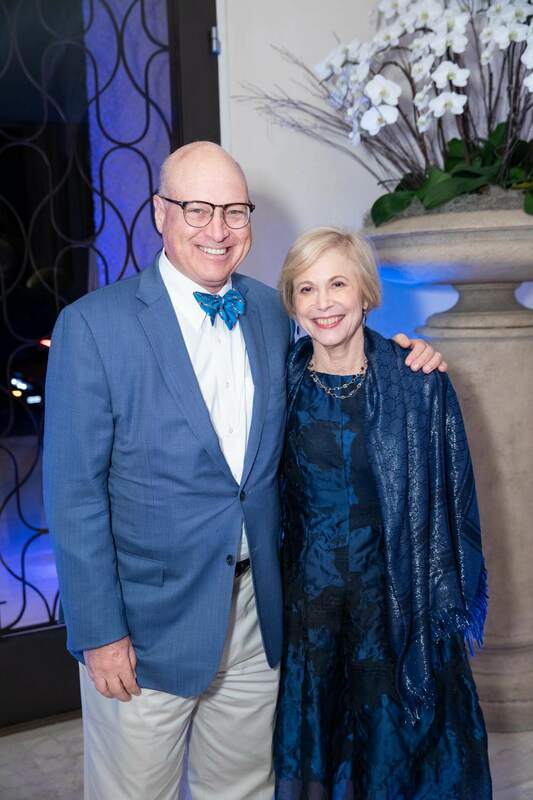 He thanked signature sponsors Florida Crystals and Good Samaritan Medical Center, along with the co-sponsor The Breakers. 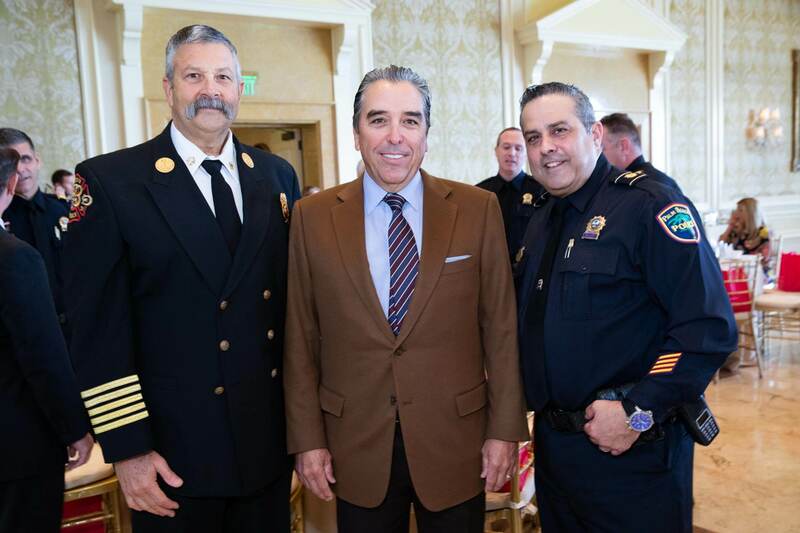 He also thanked Lesly Smith and Danielle Moore for sponsoring two tables of police and fire-rescue employees. 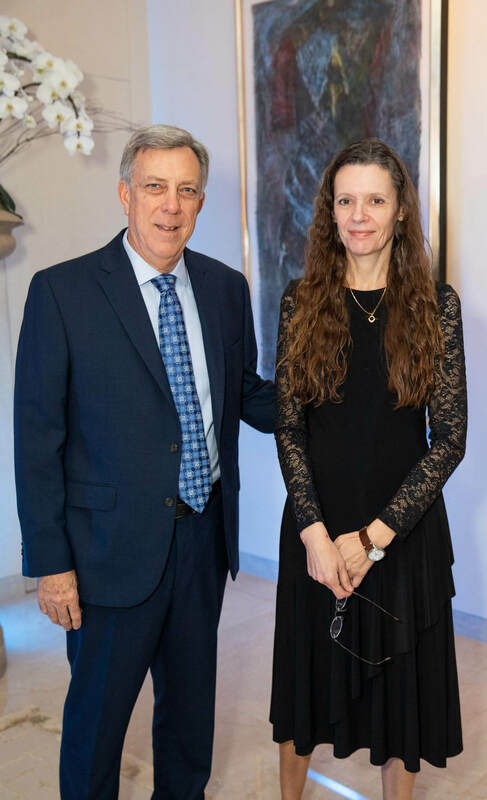 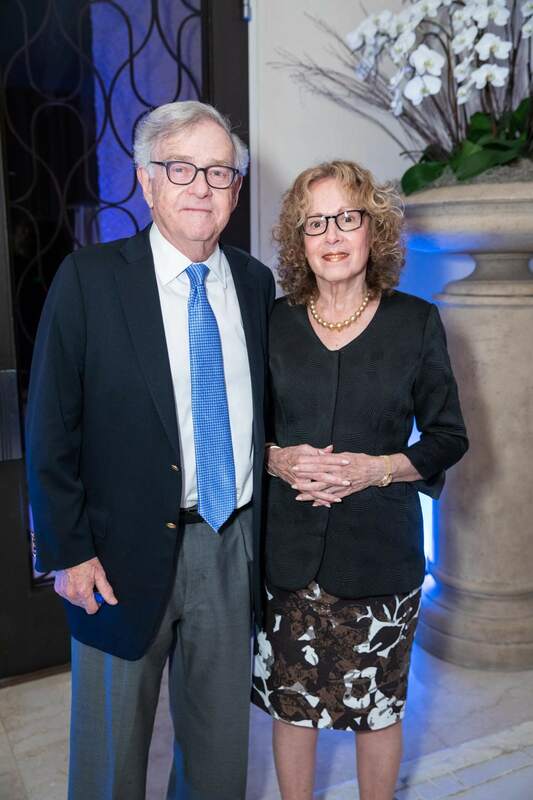 Mr. Wright presented the 2019 William J. 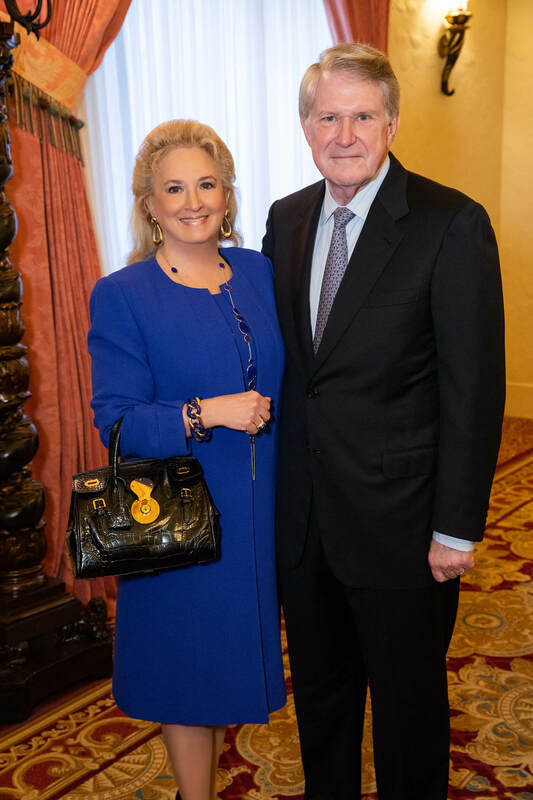 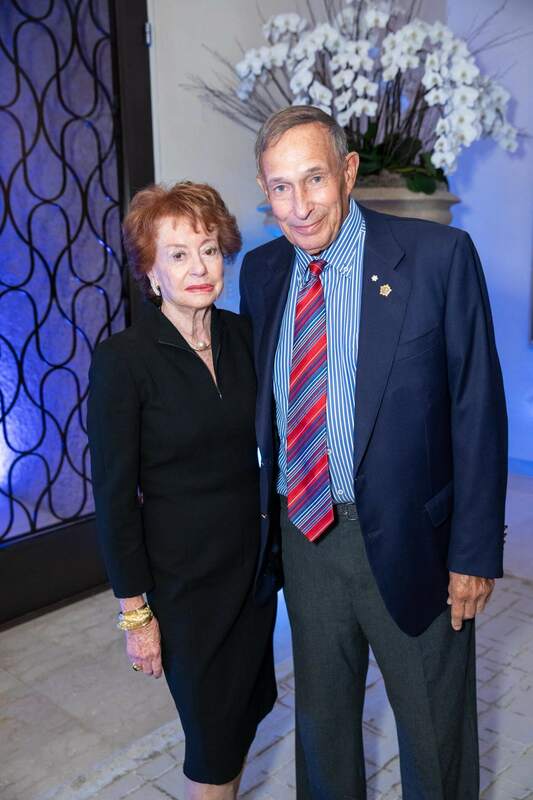 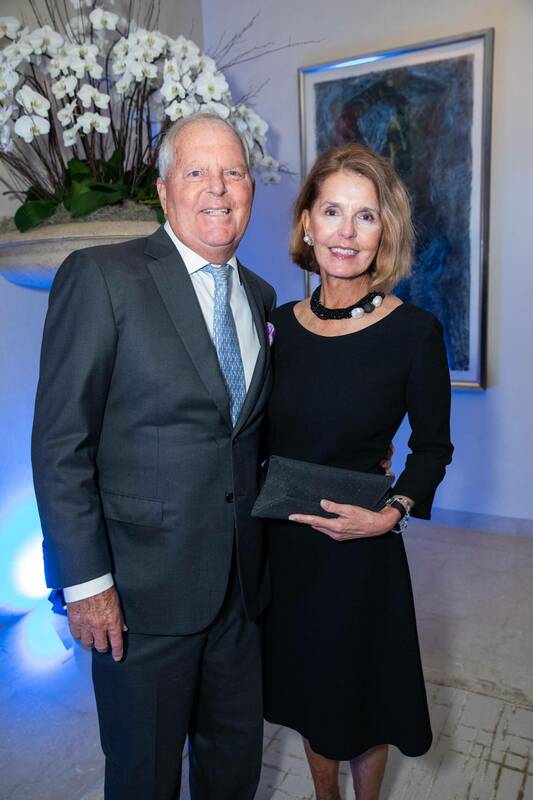 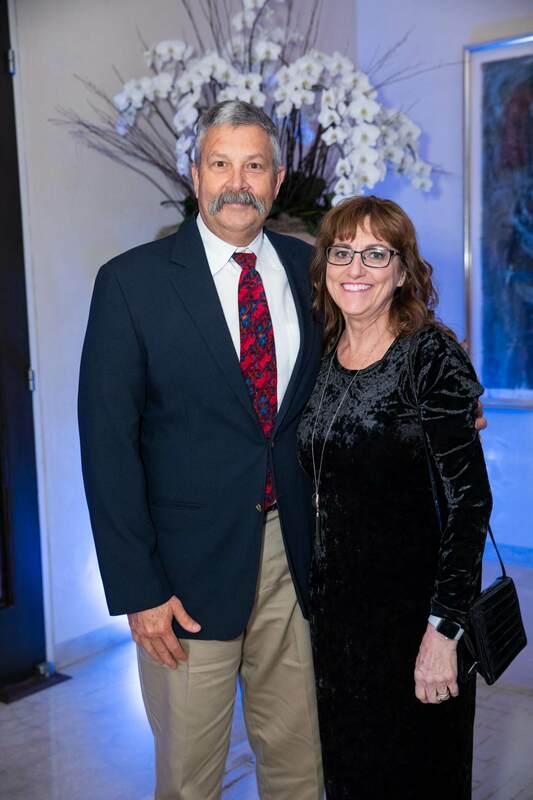 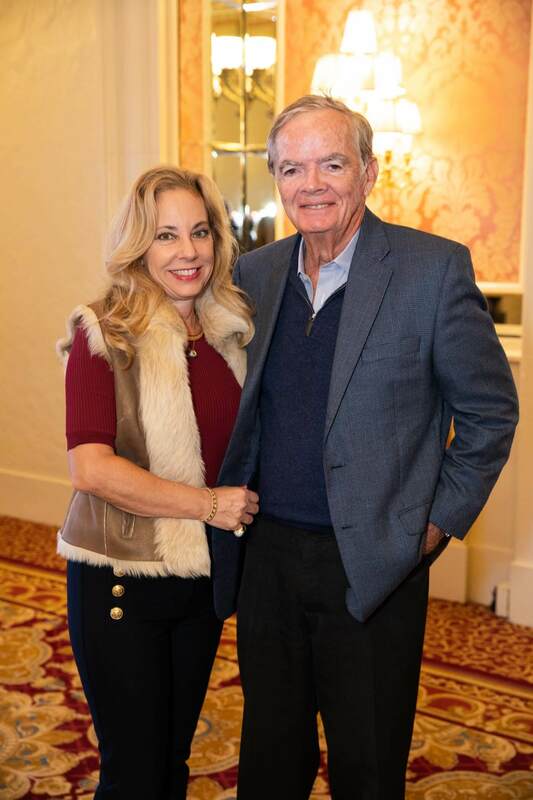 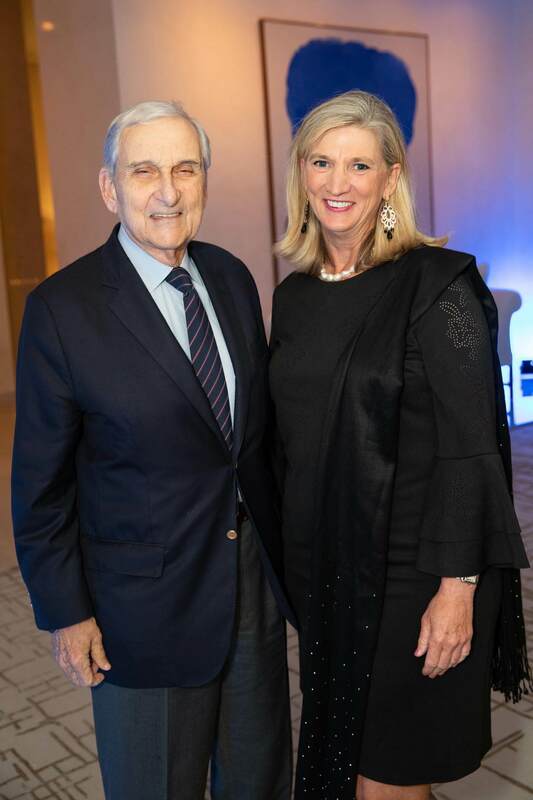 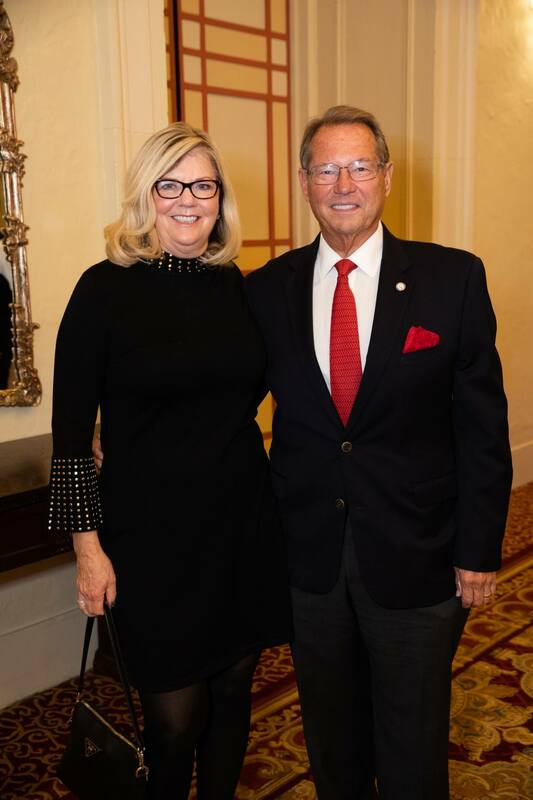 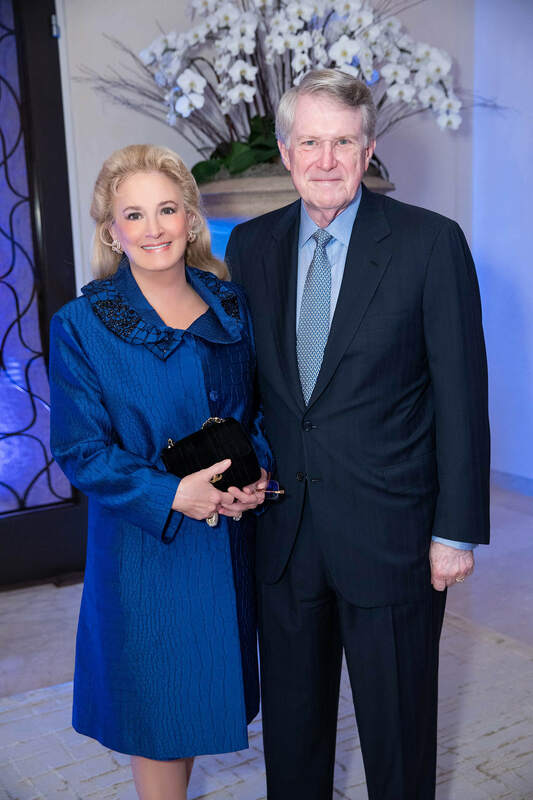 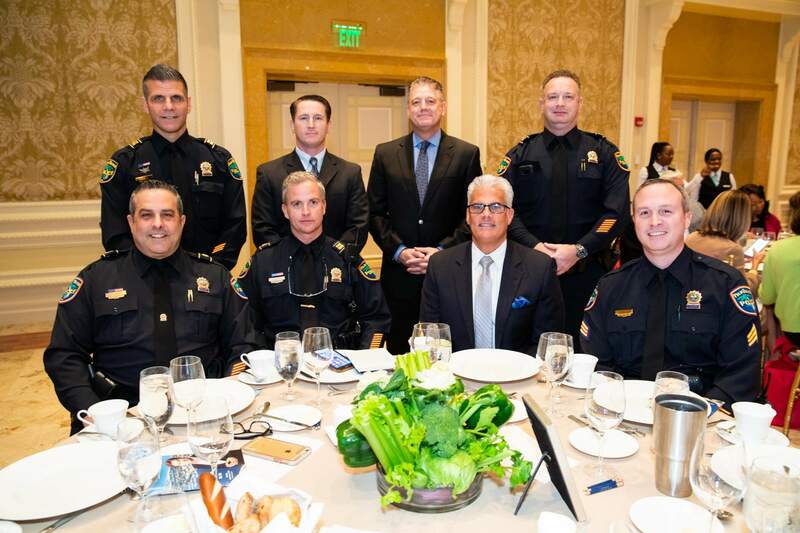 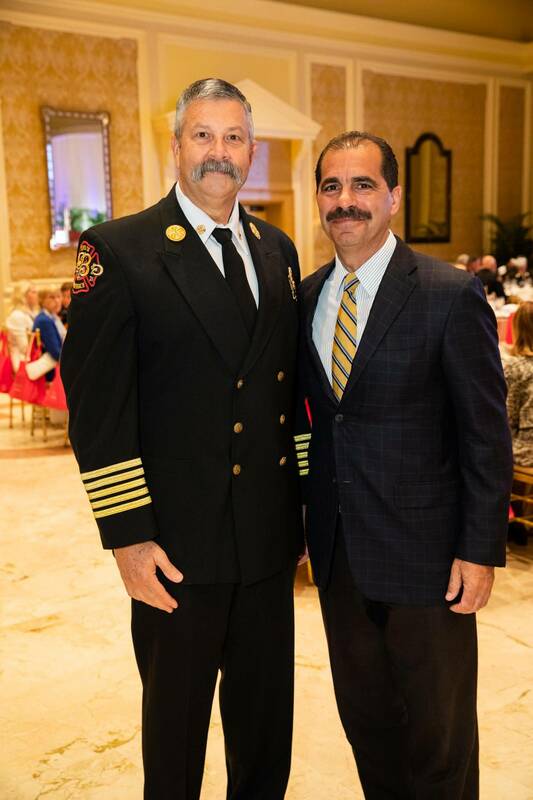 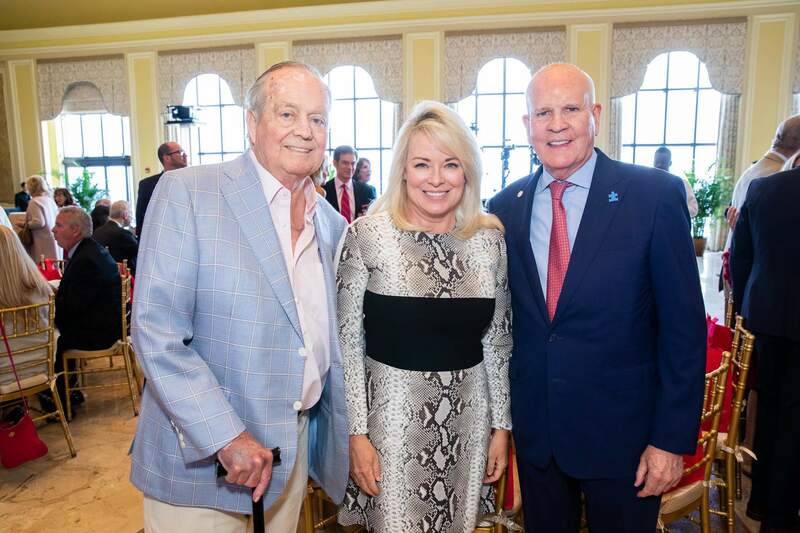 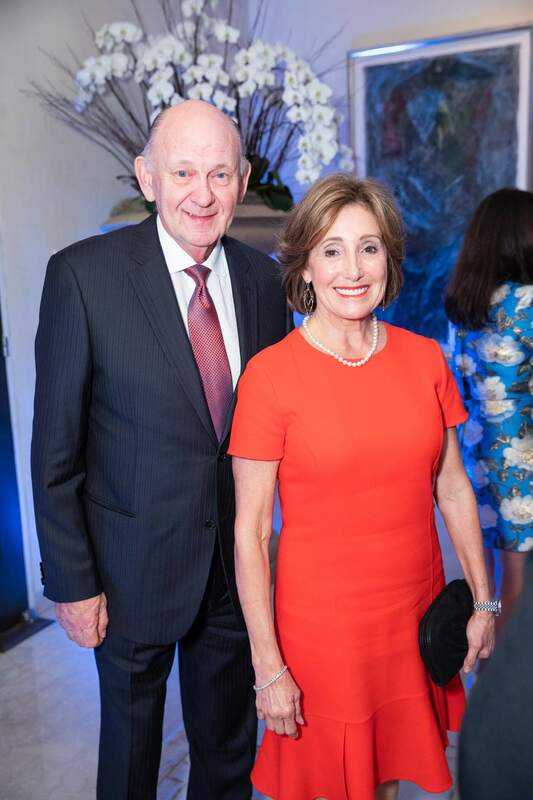 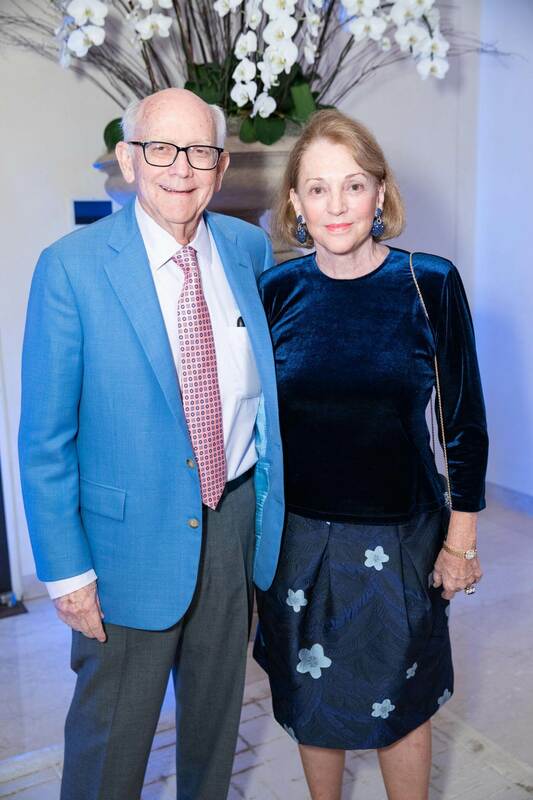 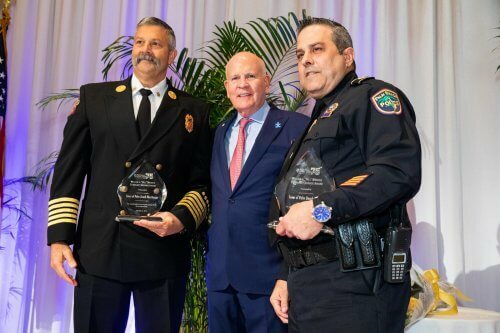 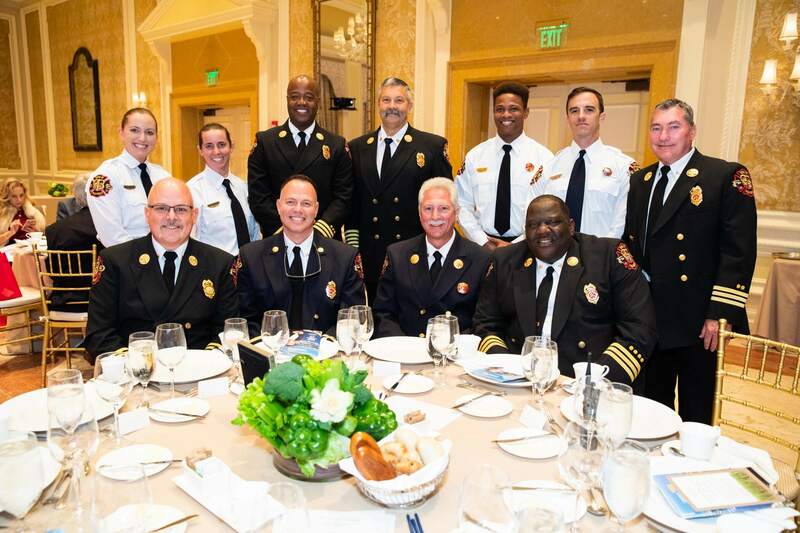 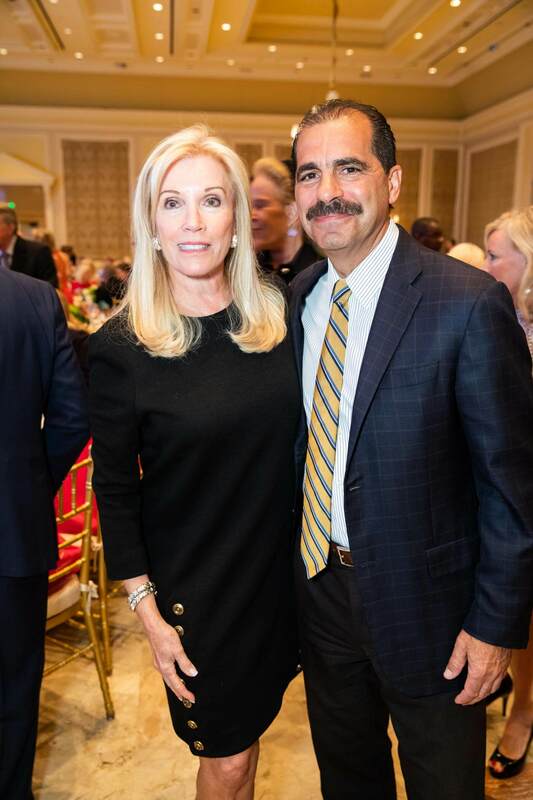 “Bill” Brooks Community Service Award to the Palm Beach Police and Fire-Rescue departments for significantly improving the quality of life in the community. 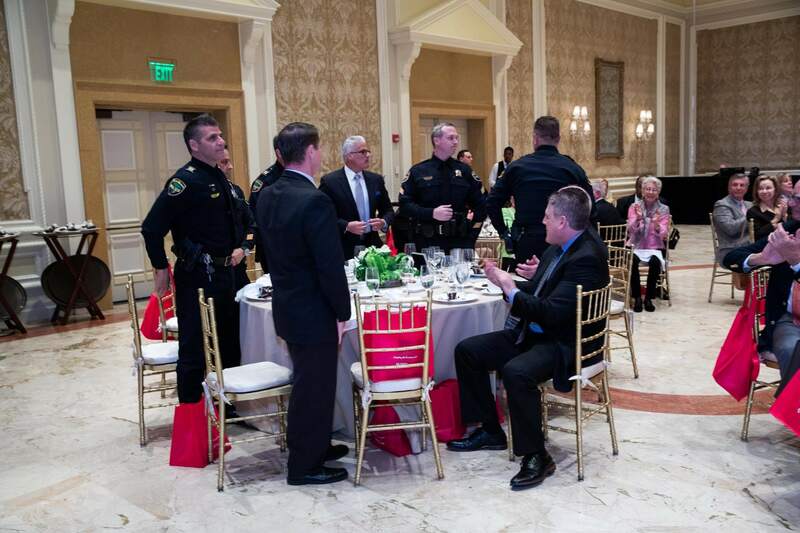 He recognized all members of both departments in attendance, asking them to stand. 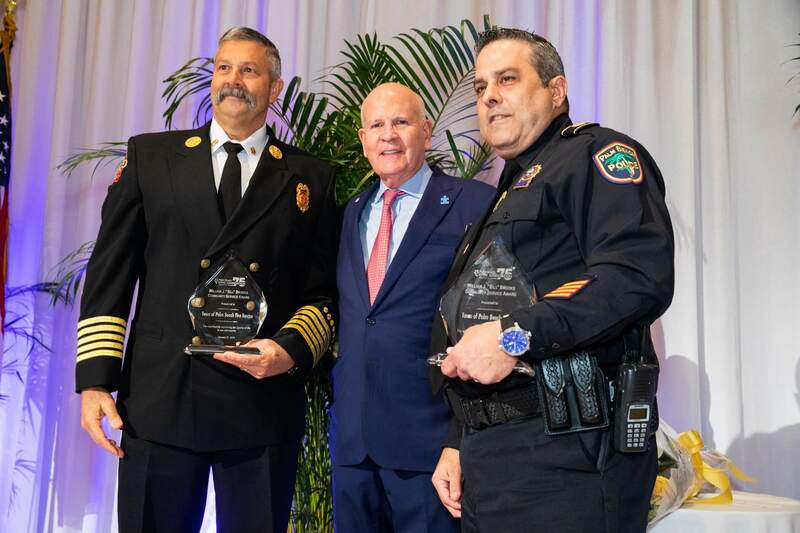 Acting Police Chief Nicholas Caristo and Fire Chief Darrel Donatto accepted the award for their respective department. 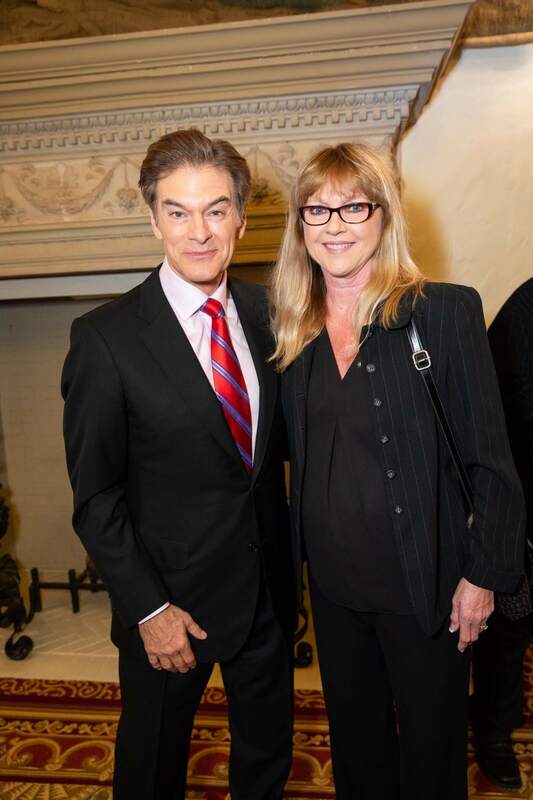 Dr. Oz was a featured health expert on “The Oprah Winfrey Show” for six seasons, spanning over 60 episodes. 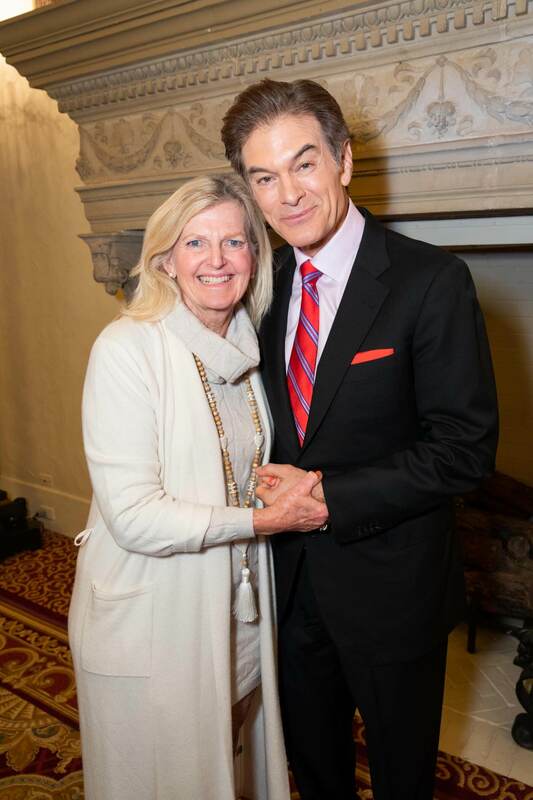 His popularity led to the debut of “The Dr. Oz Show” in 2009, for which he has gone on to win 10 Daytime Emmy® Awards. 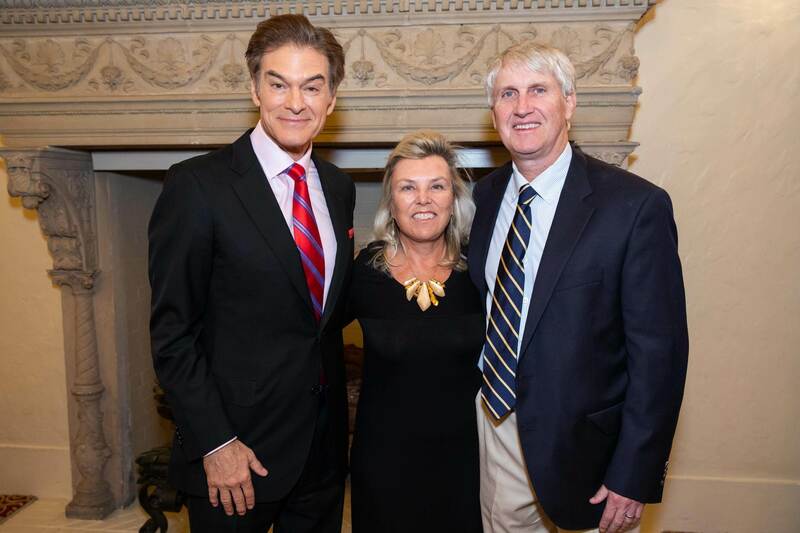 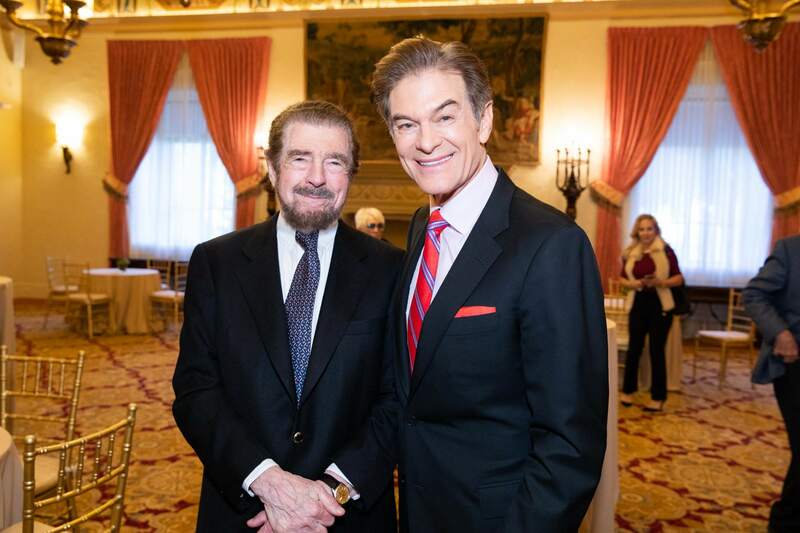 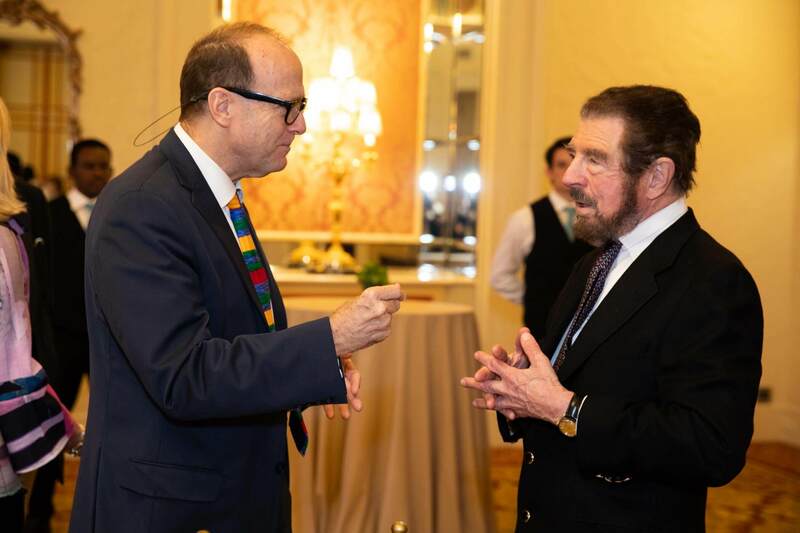 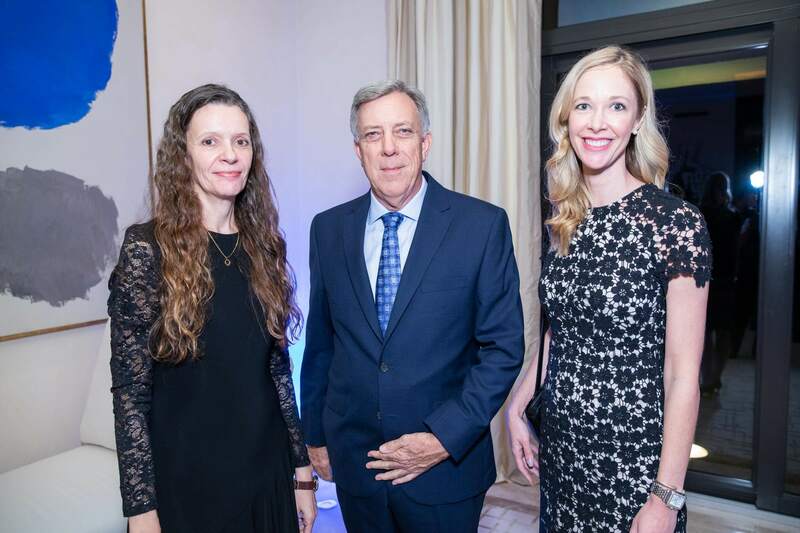 He has authored eight New York Times Best Sellers, and over 400 original publications, book chapters, and medical books, and has received numerous patents. 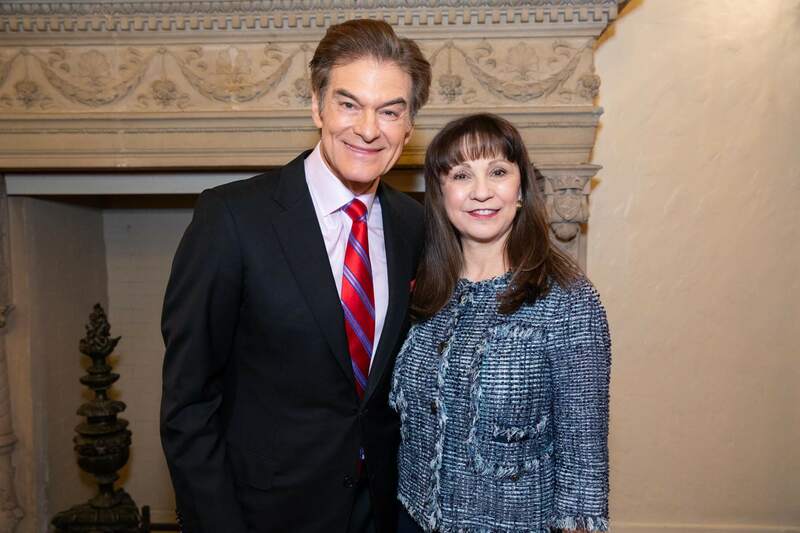 In 2014, Dr. Oz launched his own lifestyle magazine The Good Life. 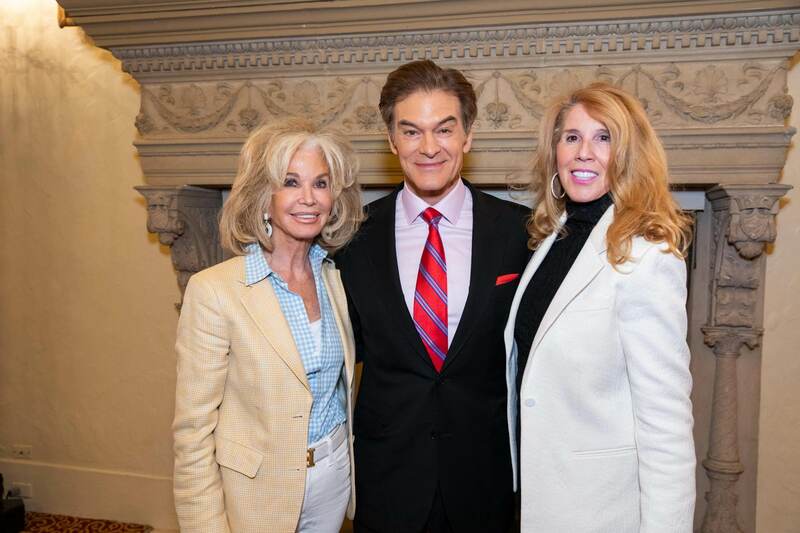 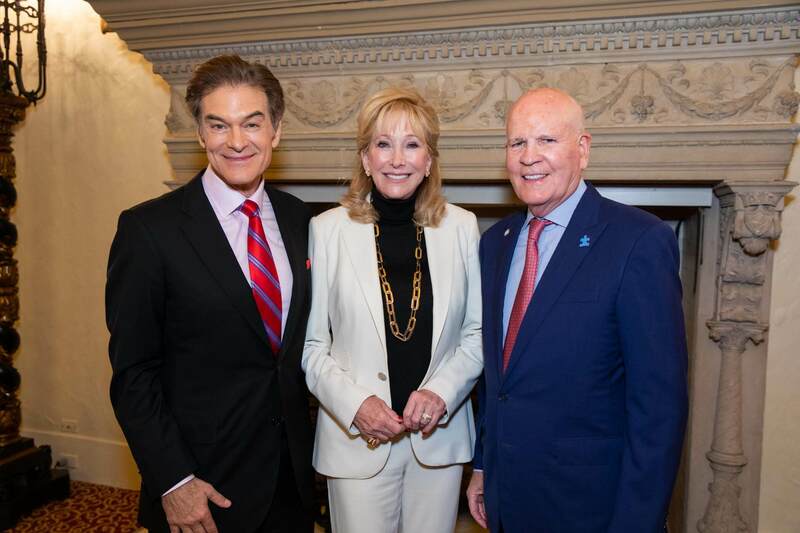 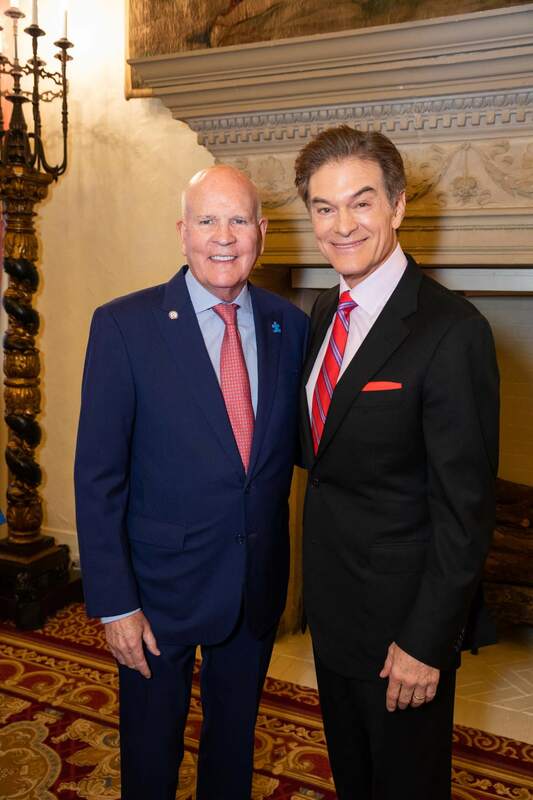 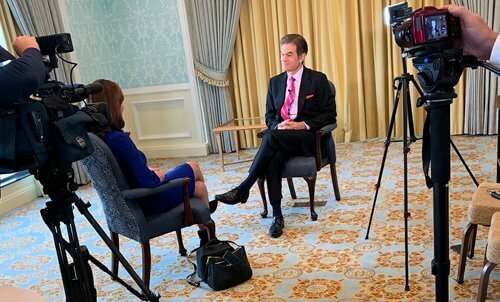 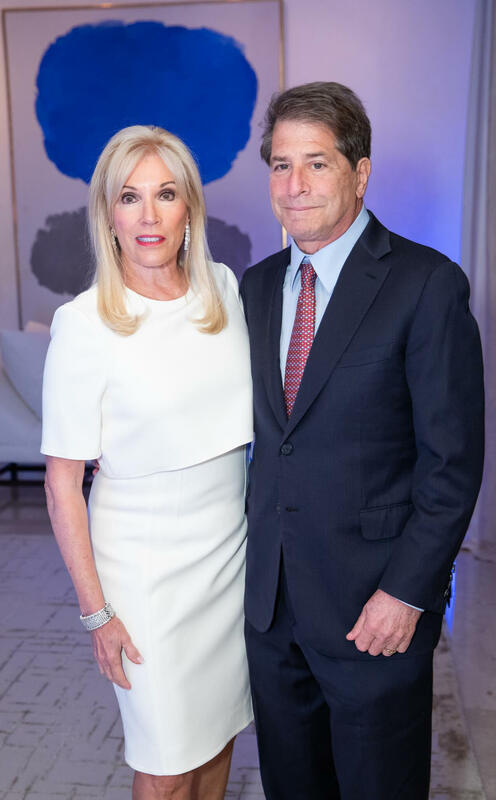 Dr. Oz told attendees that many of his patients wouldn’t have needed heart surgery if he had seen them before they got sick and helped them to make smart choices about their health. 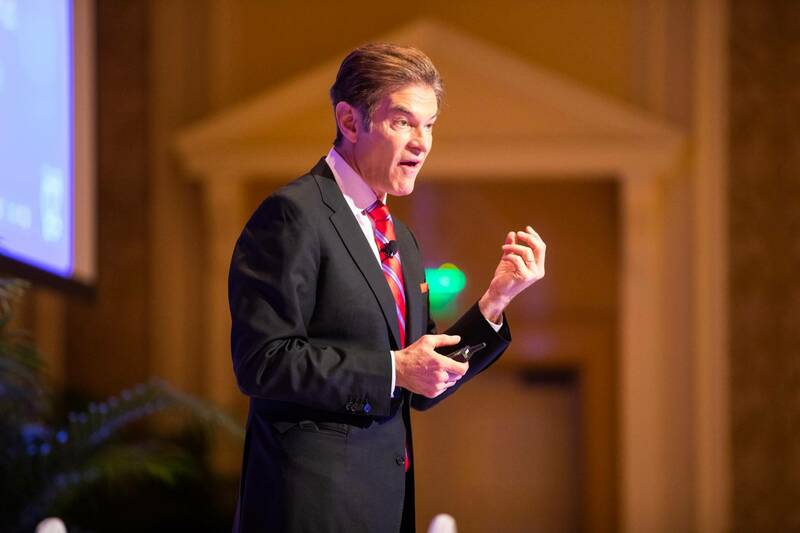 He explained three tips that can motivate people to substitute bad lifestyle choices for healthy ones. 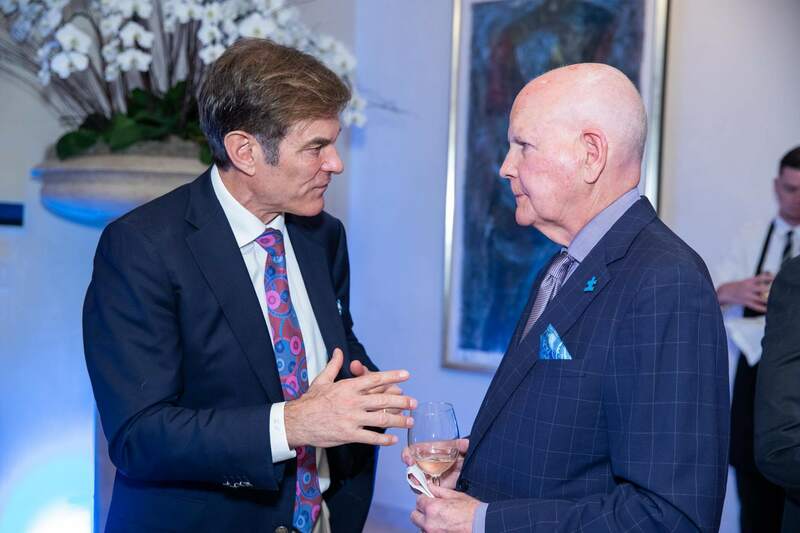 “Number one – People don’t change based on what they know,” he said. 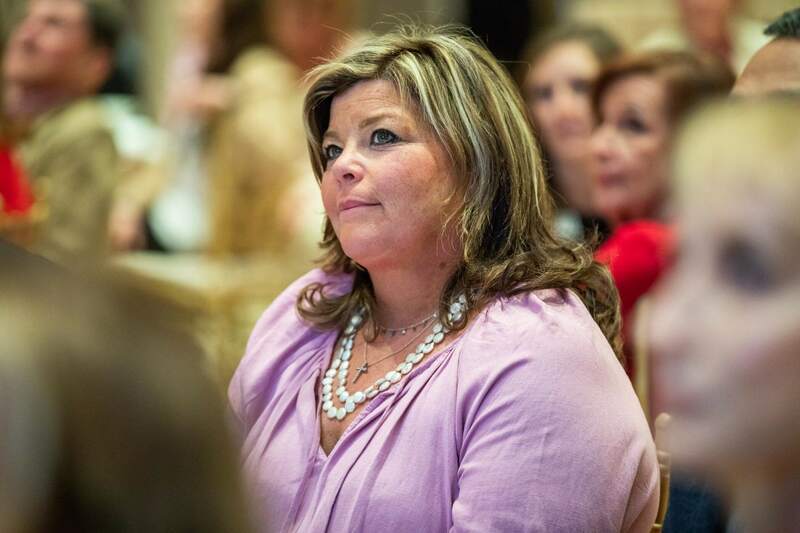 “They change based on how they feel. 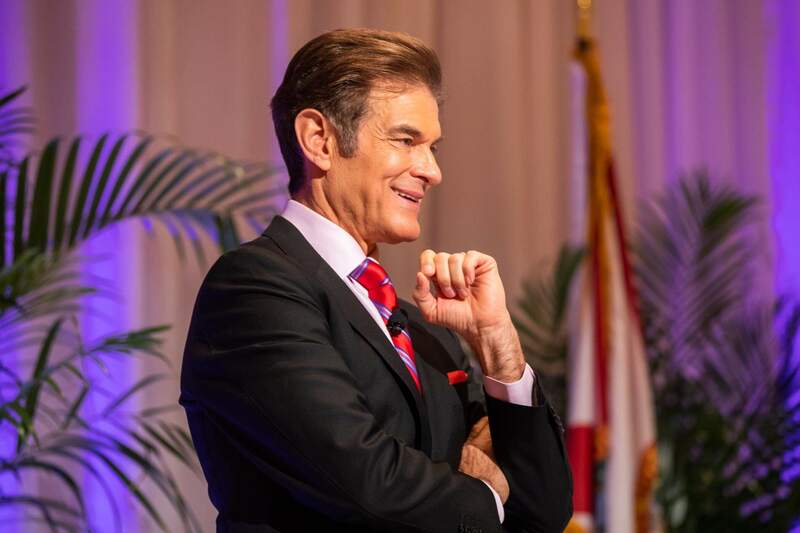 Get them to feel what you’re talking about. 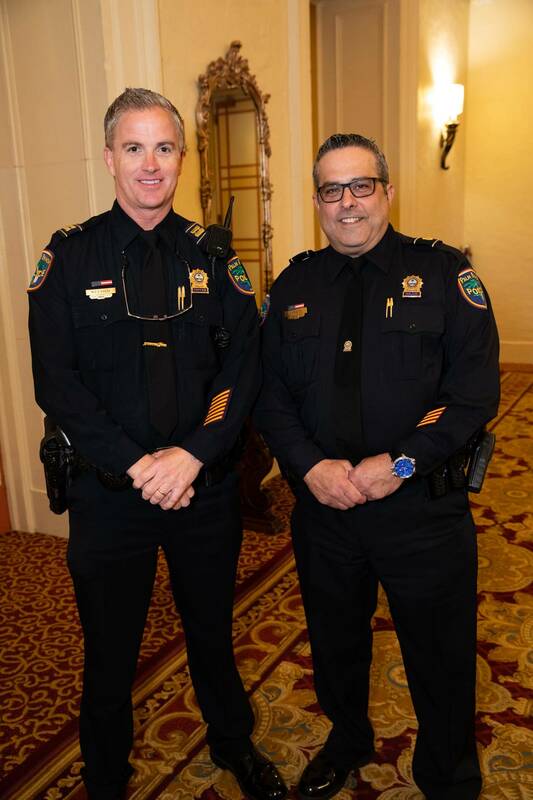 Number two – It has to be easy for them to do the right thing. 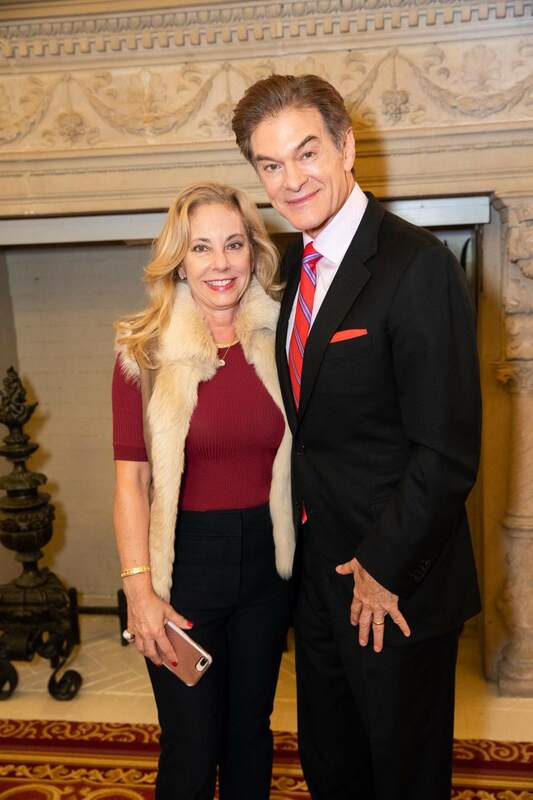 Dr. Oz listed five major life adjustments that will help people cultivate good health: maintain optimal blood pressure (115/75), exercise 30 minutes a day, eat a healthy diet that’s easy to love, manage stress/get enough sleep, and curtail addictions. 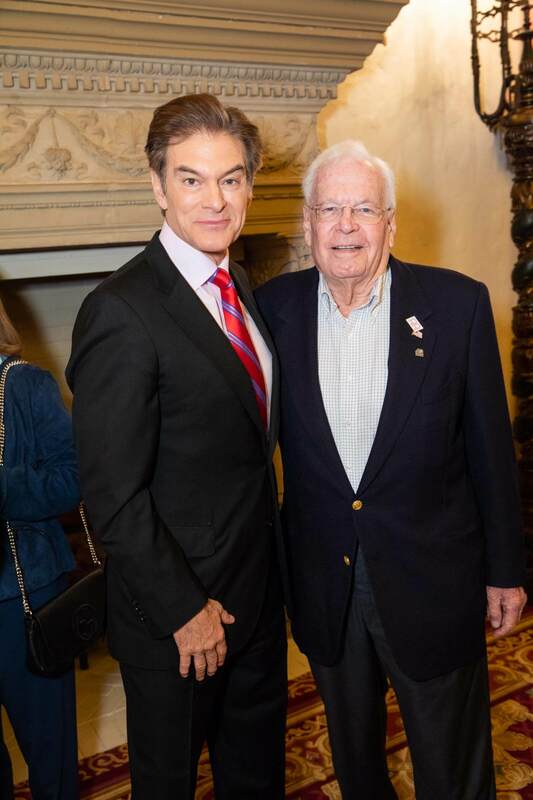 Exercise is essential to healthy bones, he said. 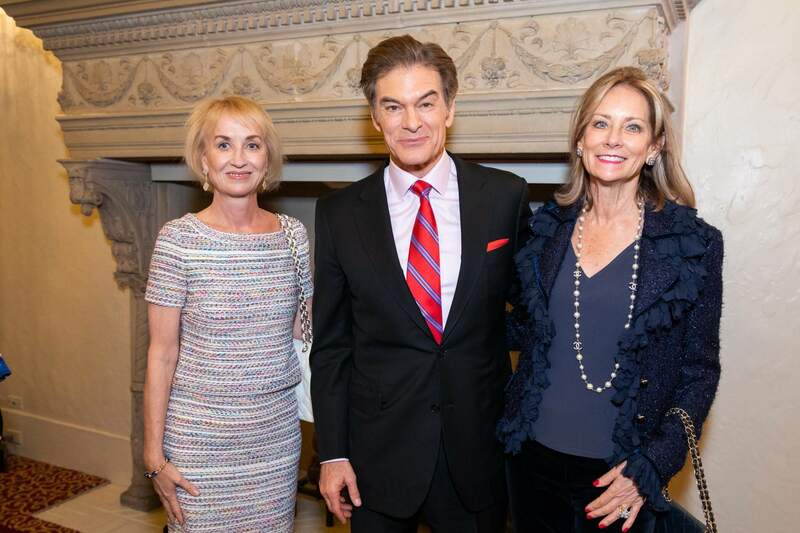 Getting enough sleep is one of the most important factors to staving off illness, he said. 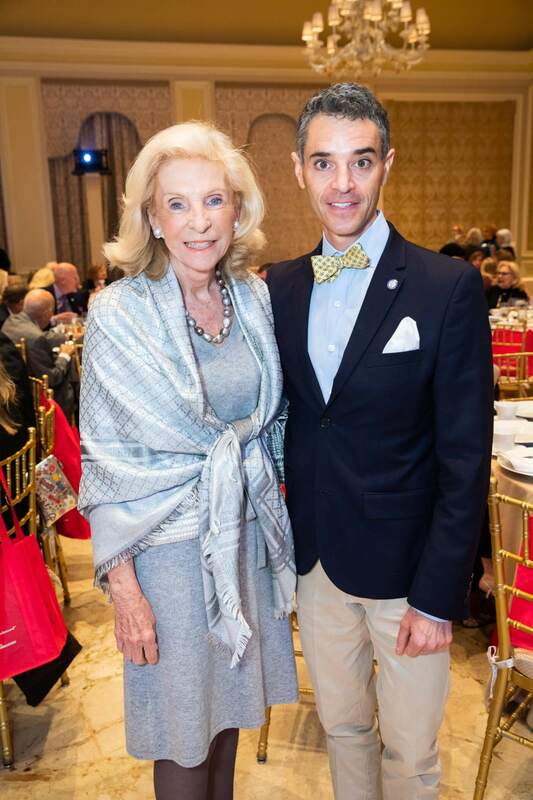 A person’s waist size should be under half their height in inches. 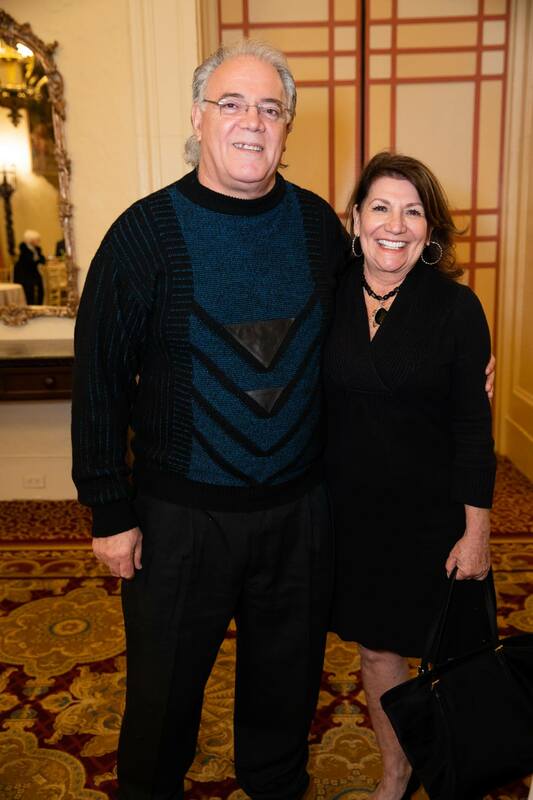 Waist size is more important than the number on a scale, he said. 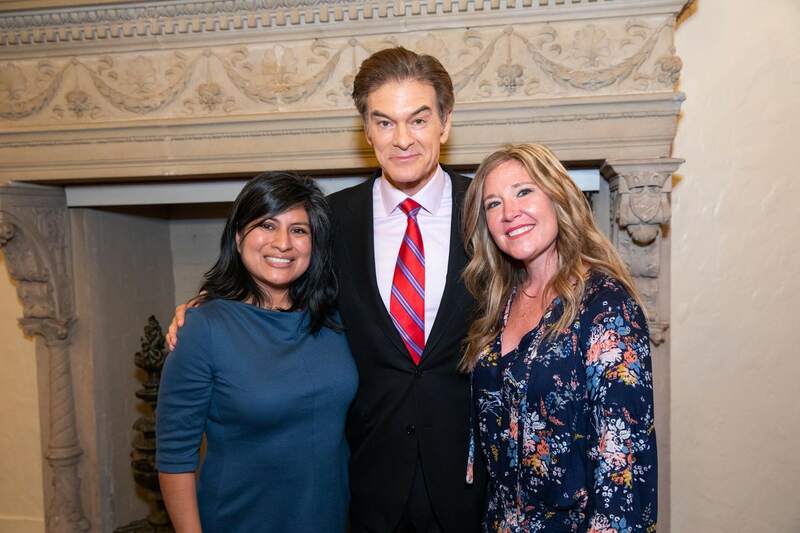 Dr. Oz advised to stay away from large quantities of sugar, especially soda, sweets, and other foods that people don’t realize have sugar in them. 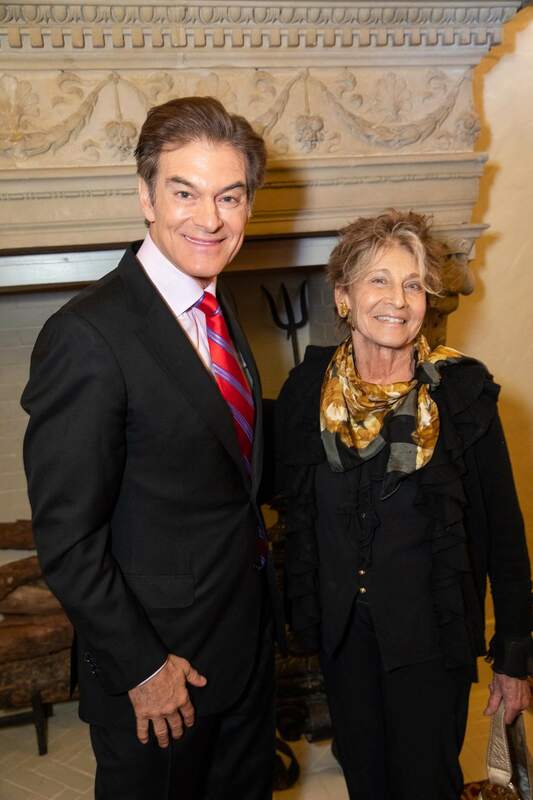 Dr. Oz practices “intermittent fasting” – only eating 12 hours a day – to keep his weight down and help him to sleep. 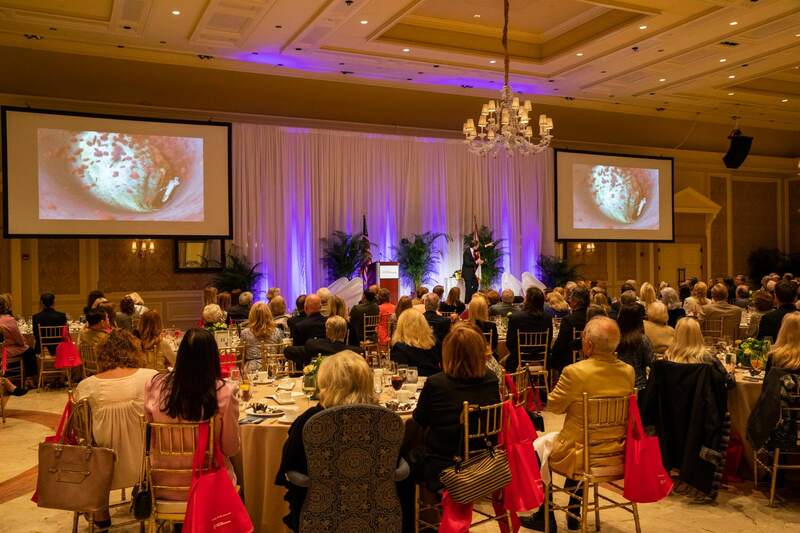 “I try to maintain 12 hours where my intestines can go to sleep and not have to work,” he said. 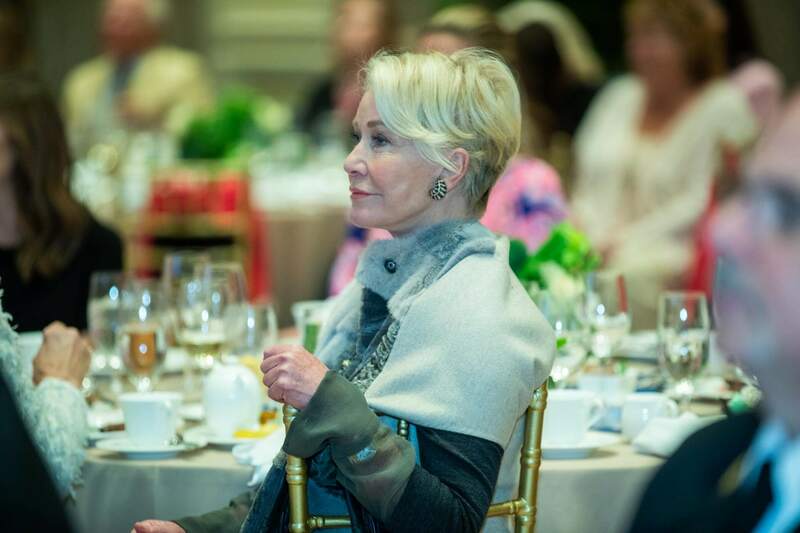 “My hormones get rebooted. 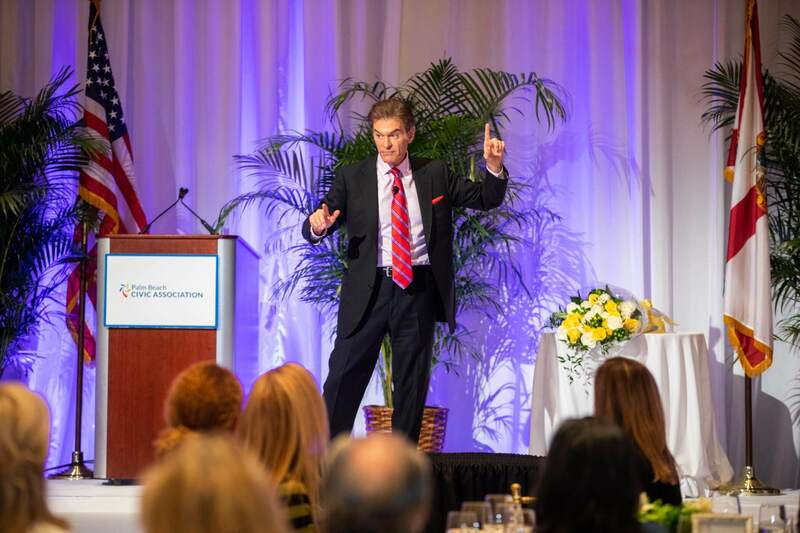 I sleep better at night … Intermittent fasting is a powerful tool. 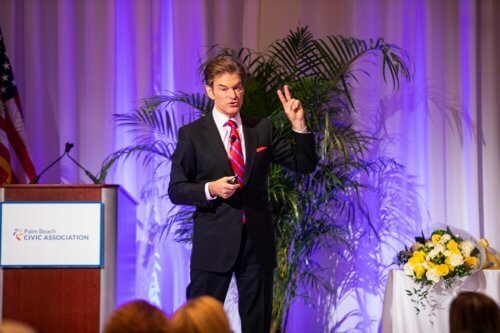 We get the same number of calories and that 12-hour window (where you don’t eat), you don’t gain weight. 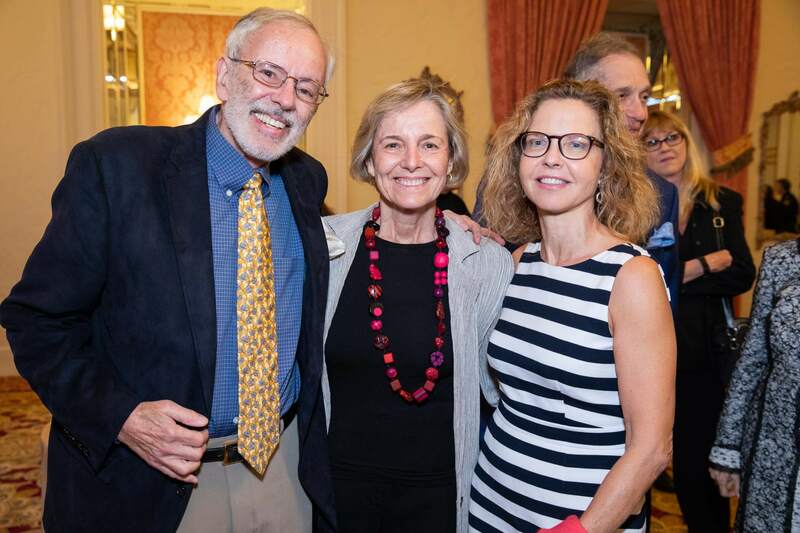 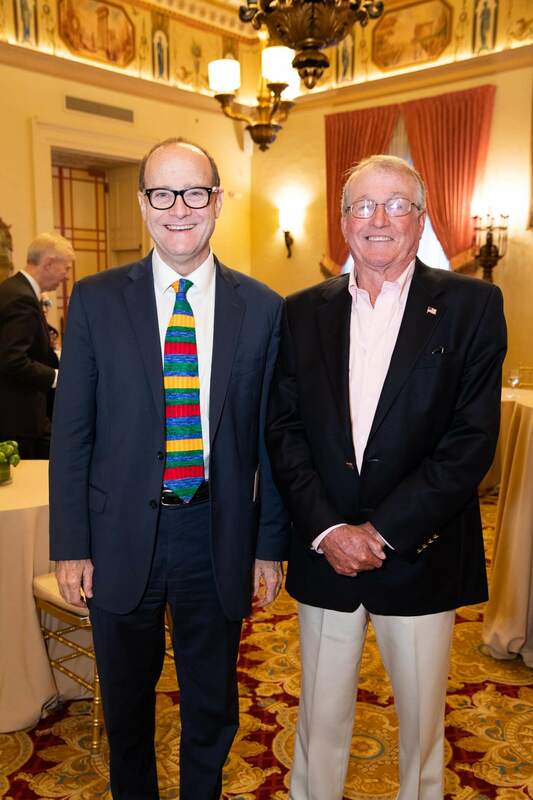 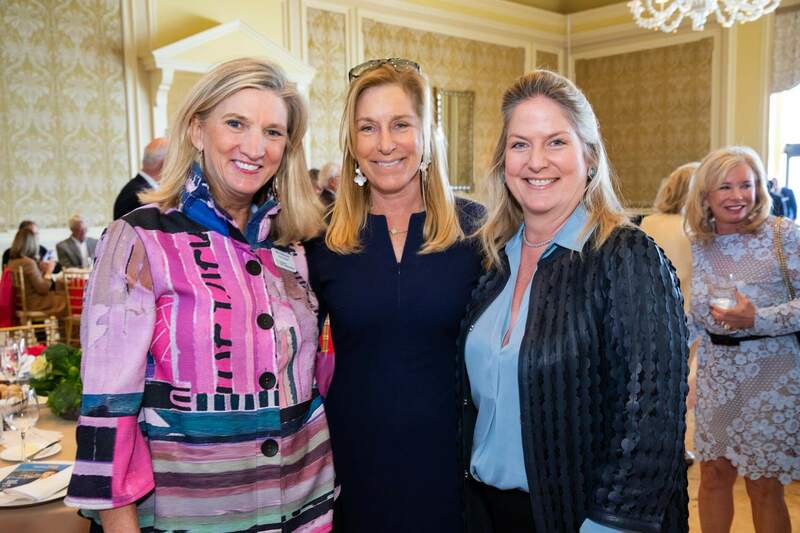 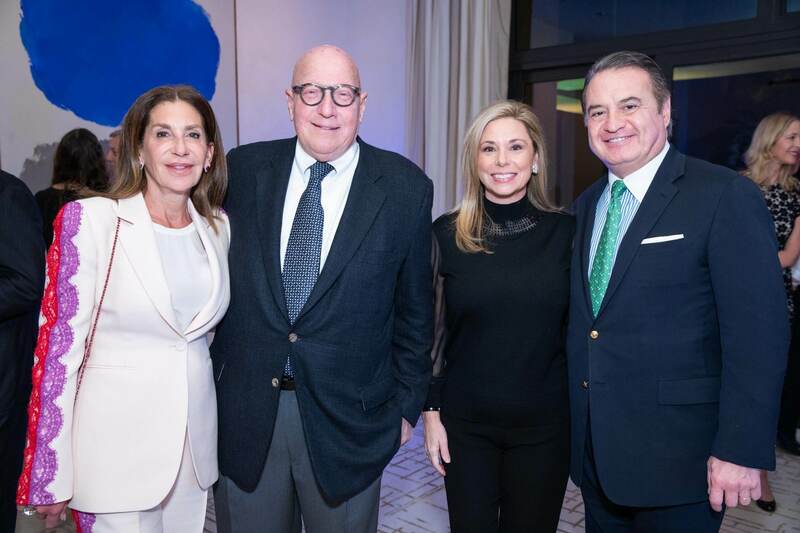 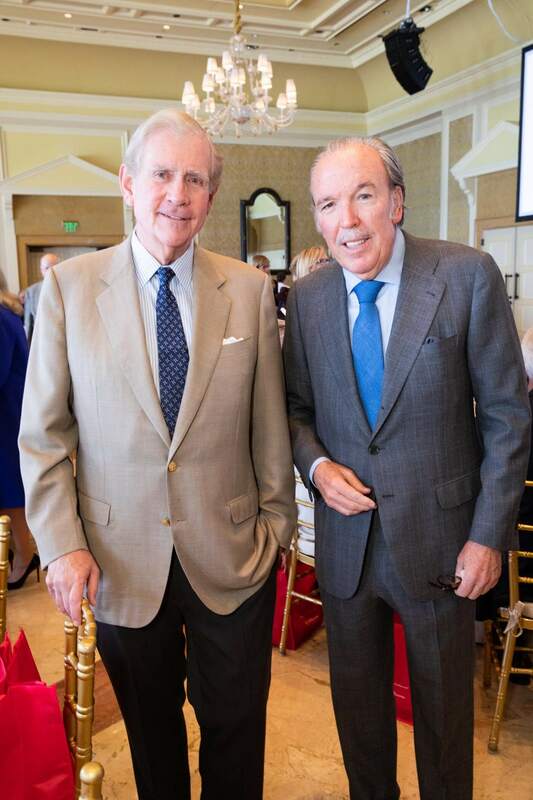 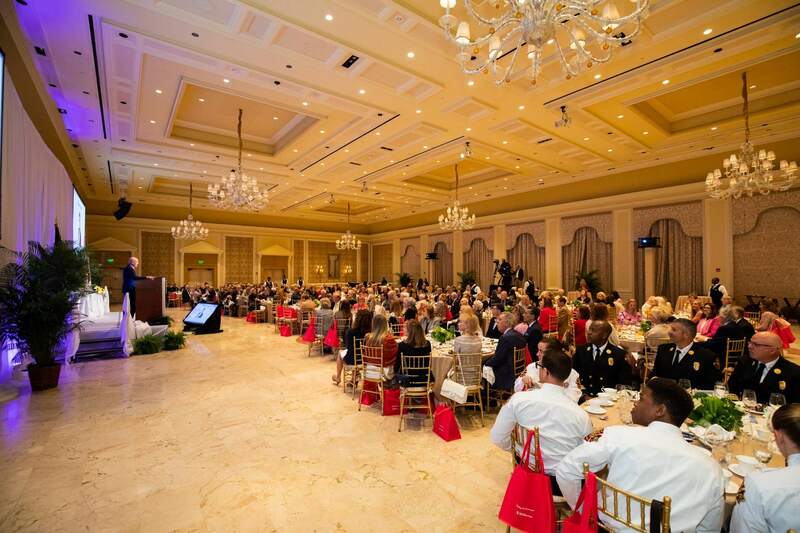 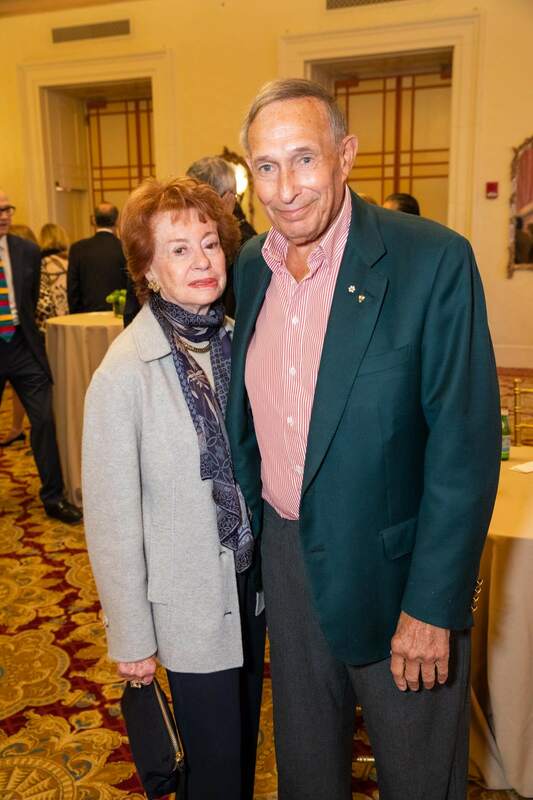 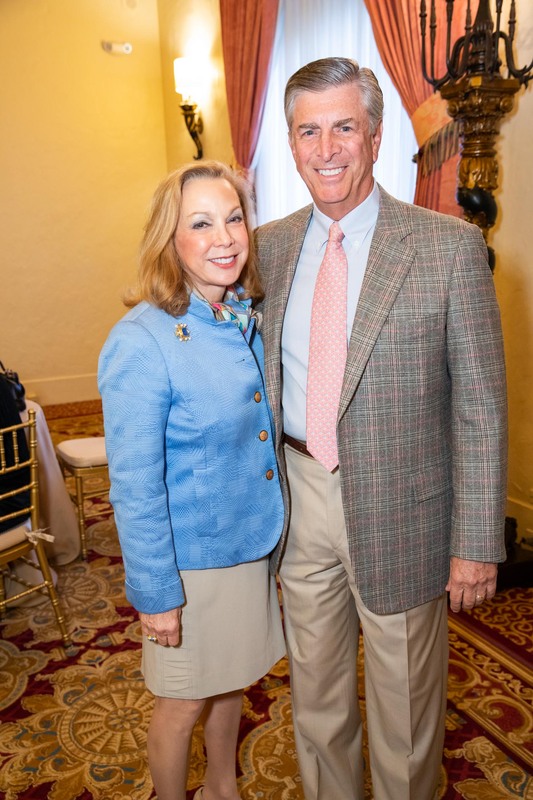 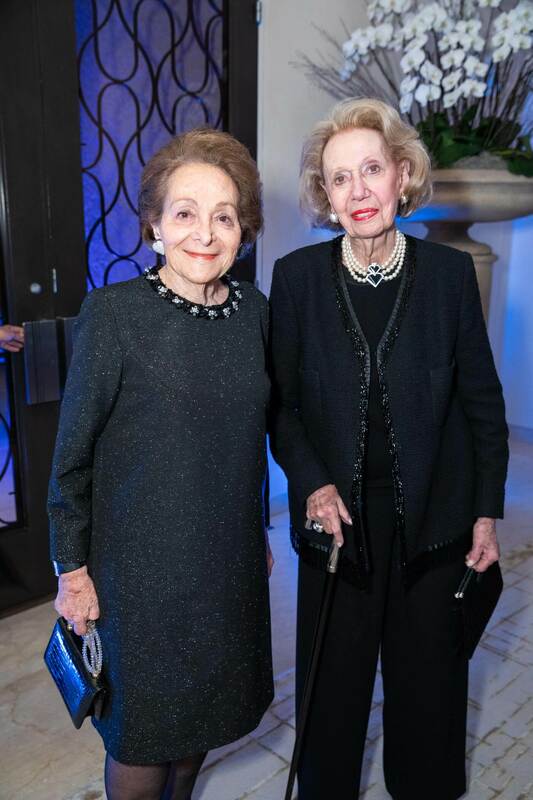 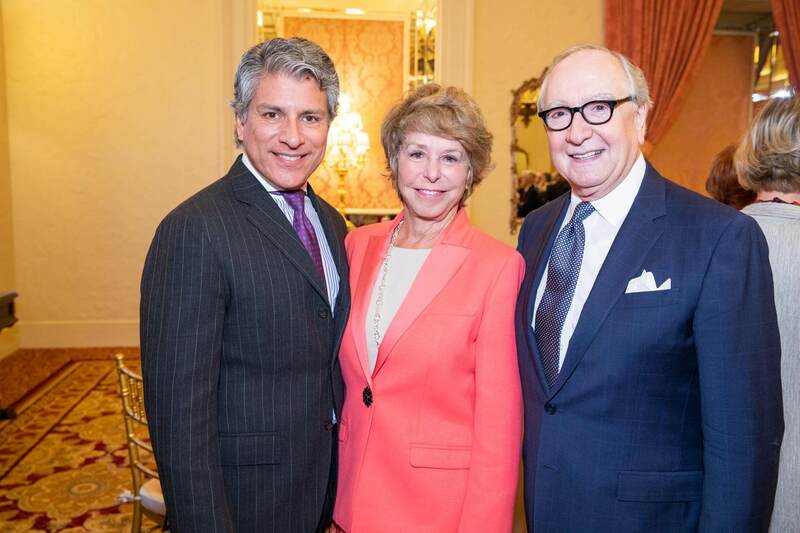 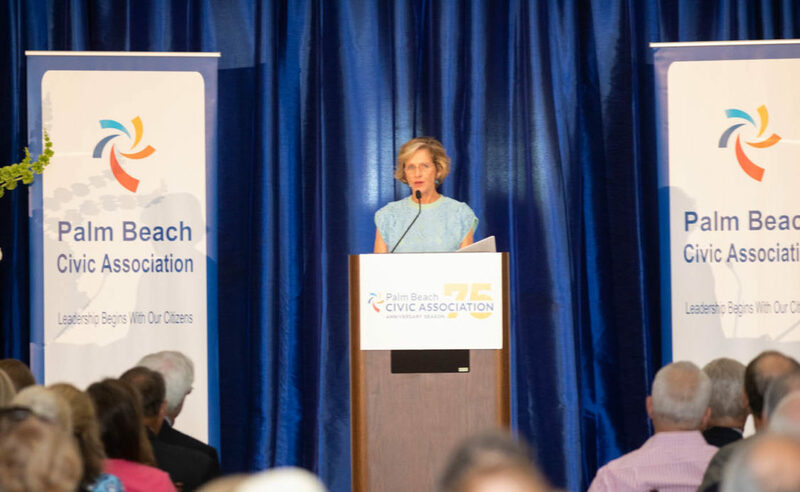 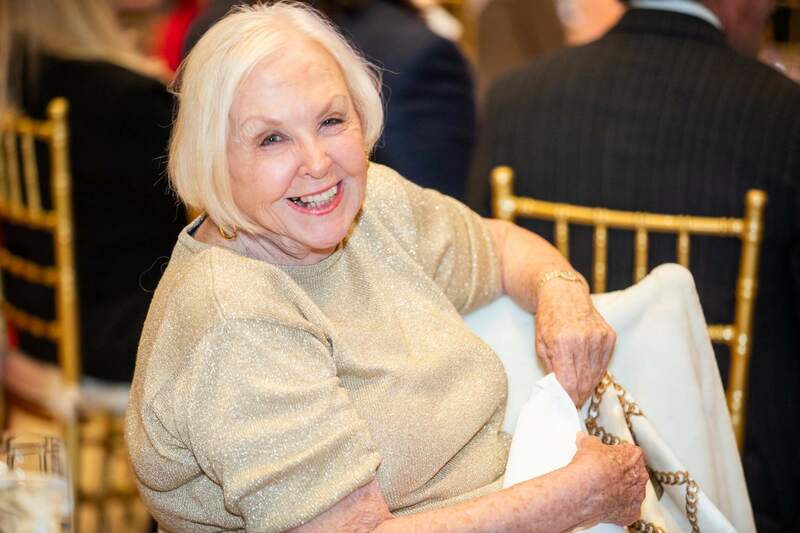 The Palm Beach Civic Association’s mission is to protect and improve the quality of life in Palm Beach. 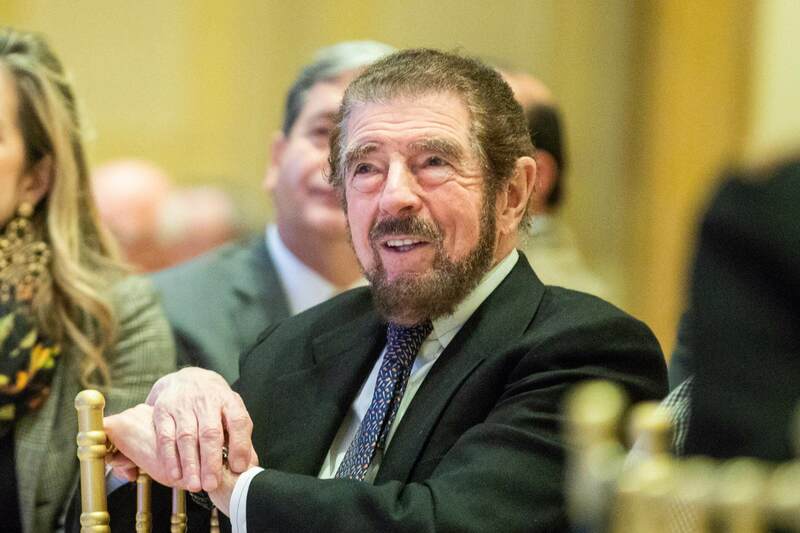 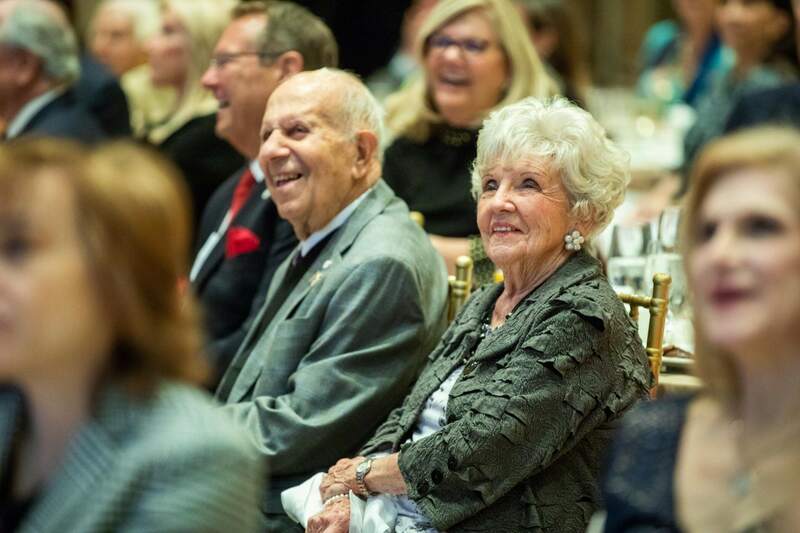 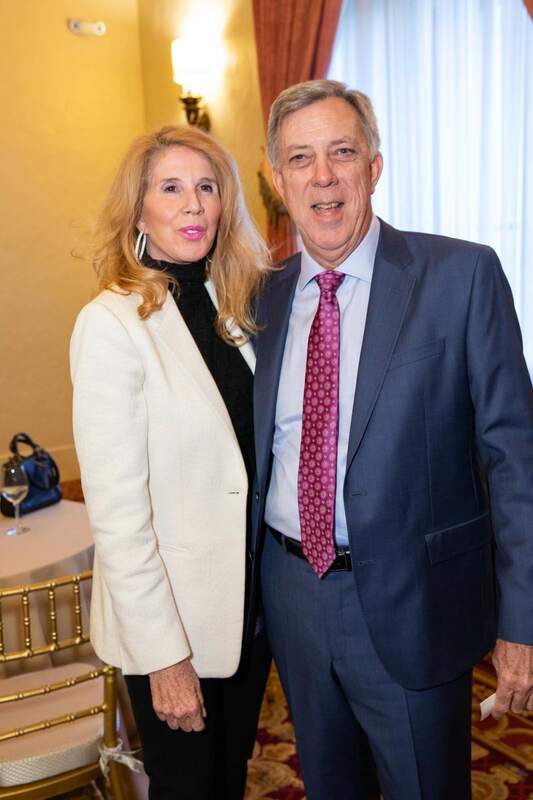 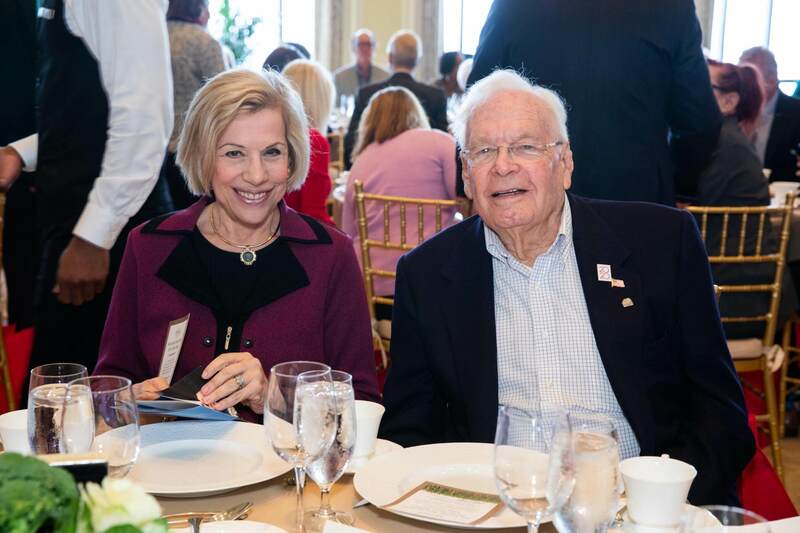 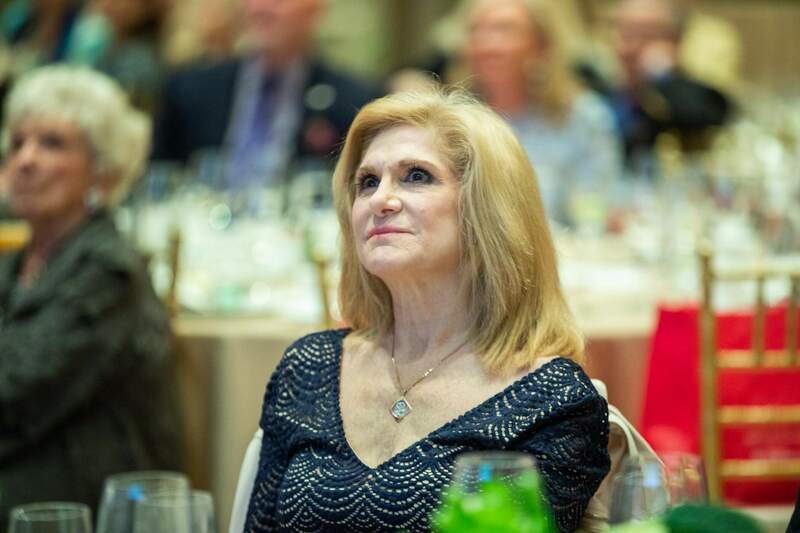 Established in 1944 by a handful of civic minded residents, the organization is celebrating its 75th anniversary season with programs focused on health and wellness, environmental protection, and public safety. 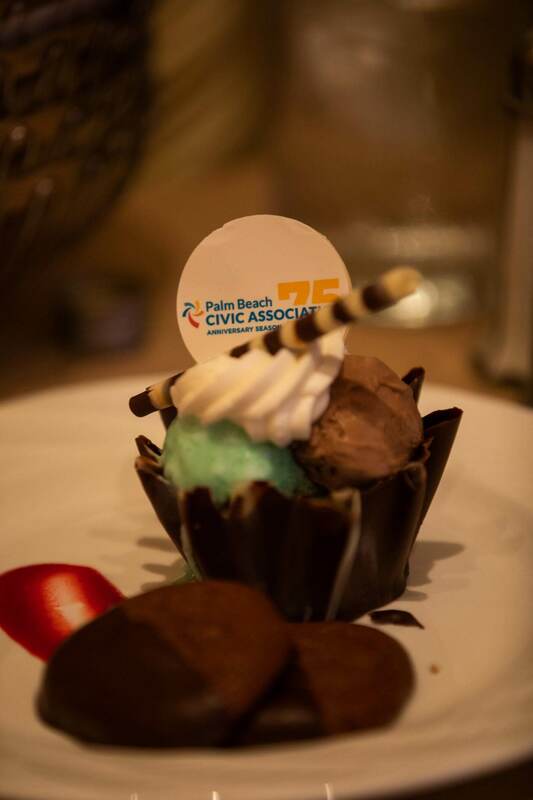 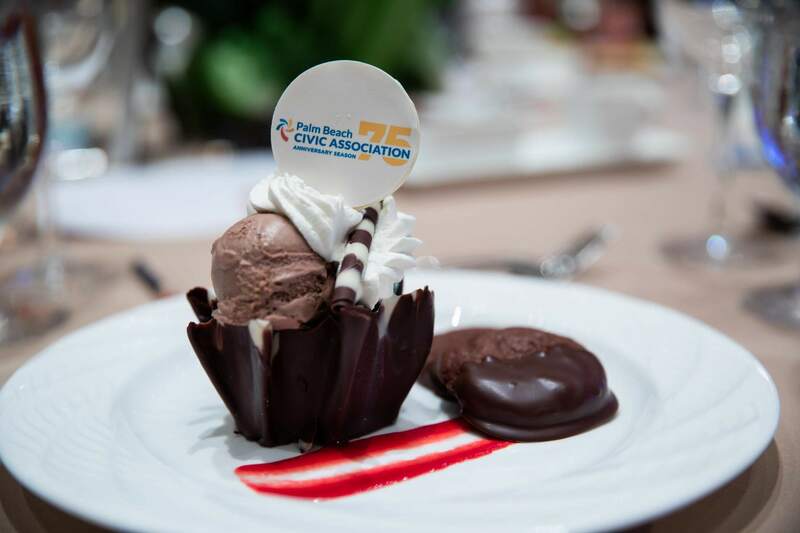 For more information about the Palm Beach Civic Association, visit PalmBeachCivic.org or call 561-655-0820. 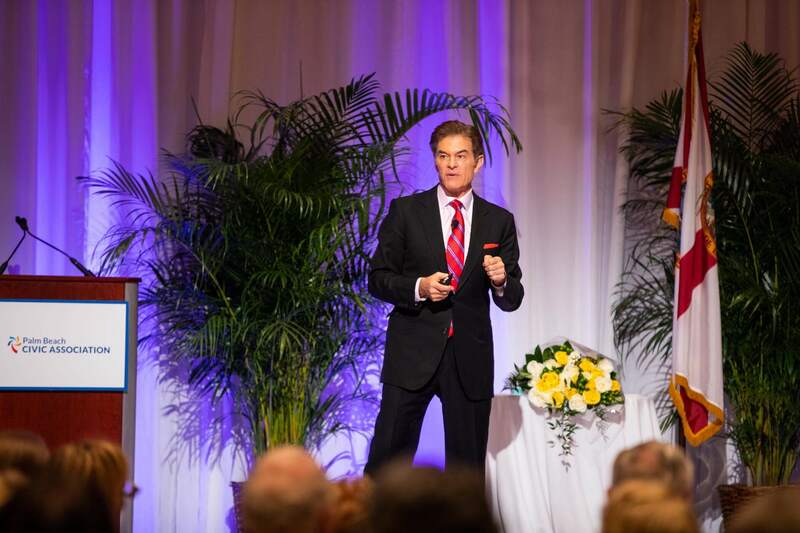 “The question you have to ask yourself is when was the last time you really went at full speed? 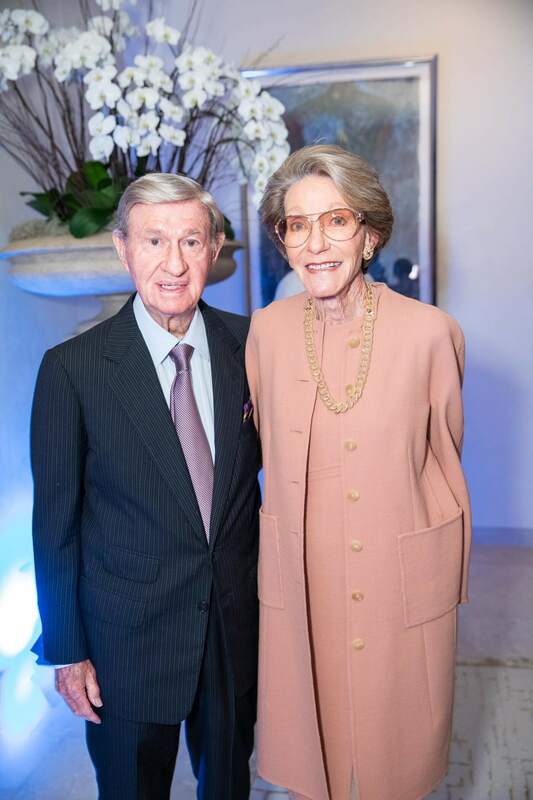 You went as hard as you can go?” said Oz to the sold-out crowd. 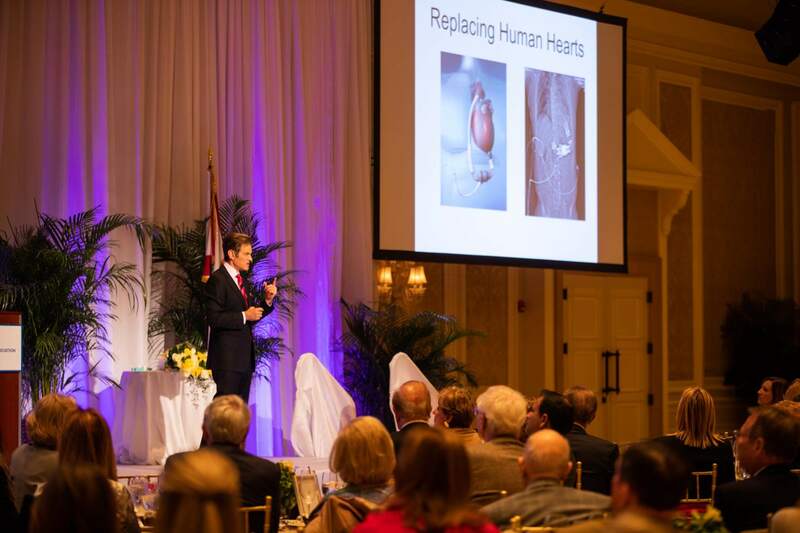 Oz stressed that for most people, the most important things in life are family, faith, fun and food.